After the stress of traveling, when you feel trapped in your hotel room, what is better than going out to enjoy a nice pizza? I live in Rome and want to share 6 awesome spots with you. 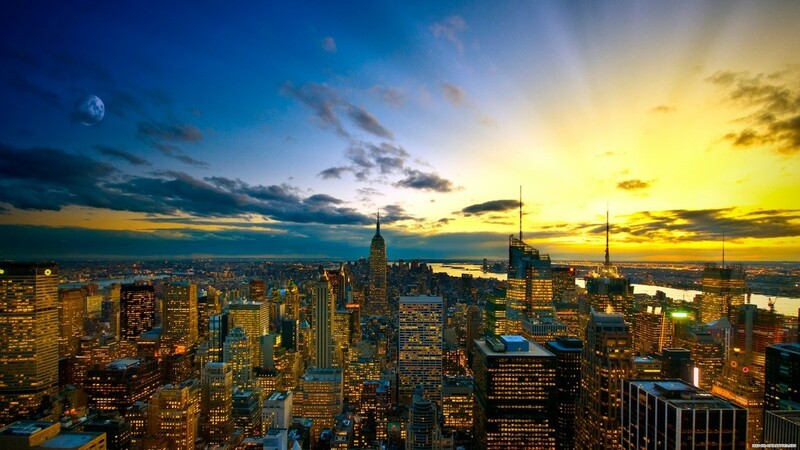 Extravagance is not dead everywhere as the mega-wealthy search out new experiences only they can afford. Vegetarians: You're not stuck with just lettuce anymore! Some restaurants are actually getting much better options. 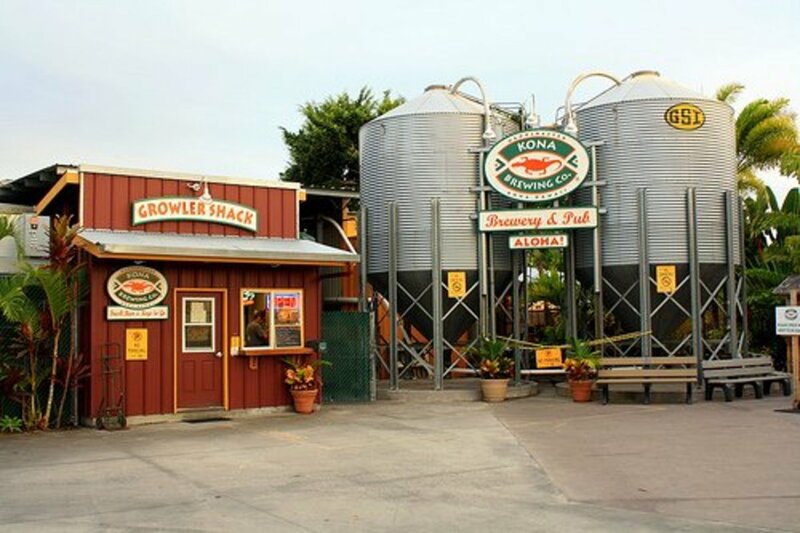 This edition focuses on restaurant chains in Illinois, Wisconsin, and Minnesota. 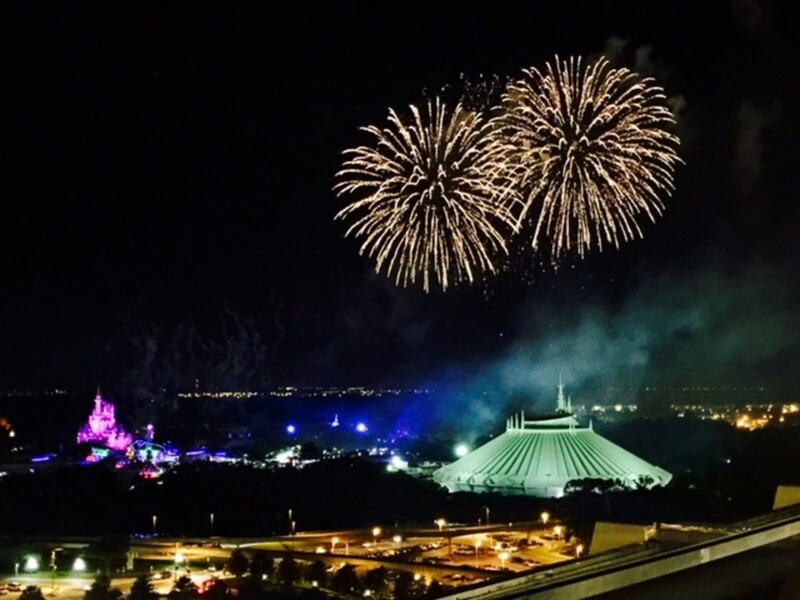 Wonderful food, service and views make this restaurant a unique and memorable dining experience that you don't want to miss! 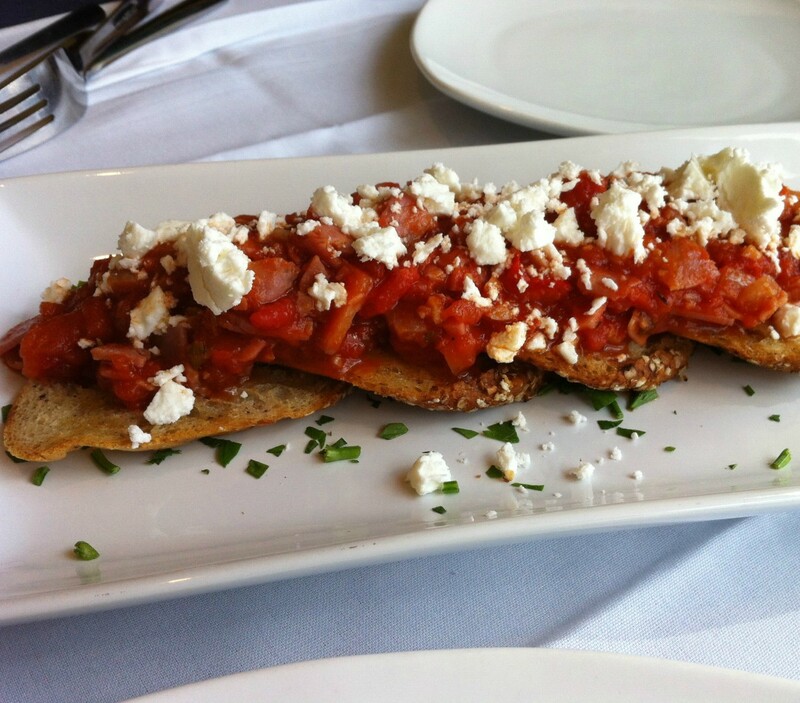 Olivea is a popular Italian restaurant in downtown Kingston. I had their signature burger with a salad, which I quite enjoyed. Overall, I would recommend this restaurant. A beginner's guide to how Starbucks works: How to order an espresso drink like a pro, brought to you by a certified barista. 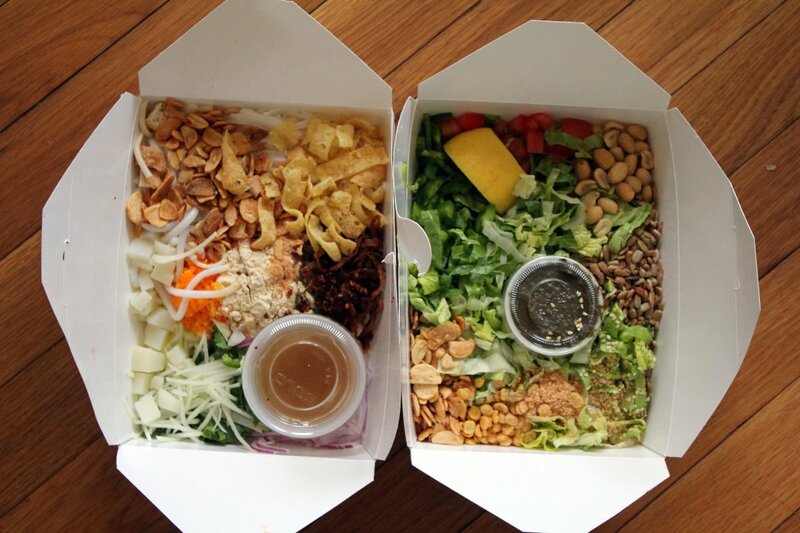 Read this DoorDash review to decide whether to try it for your next food delivery! Compares pricing, customer service, and pros and cons for this app. A local's guide to the best restaurants in Pensacola for steak, sandwiches, seafood, and gourmet dining. 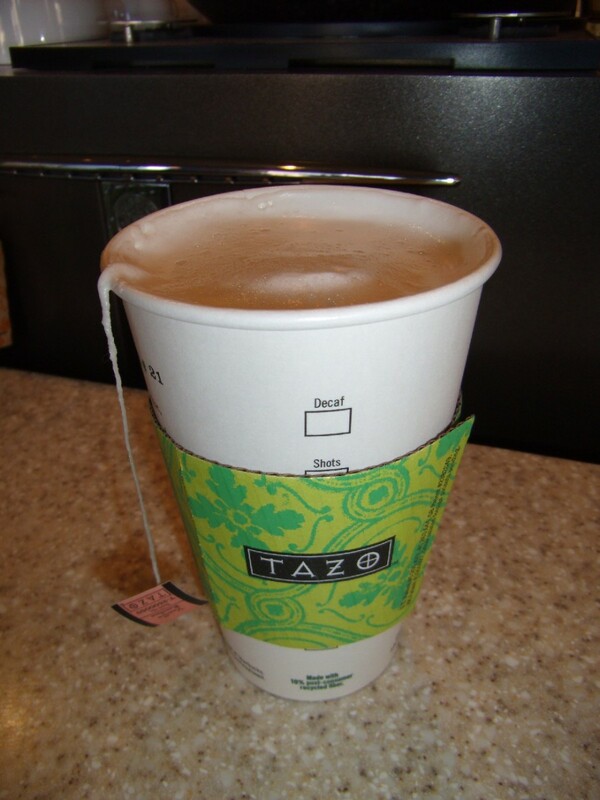 Learn all about the Tea Lattes on Starbucks' menu from a certified barista. 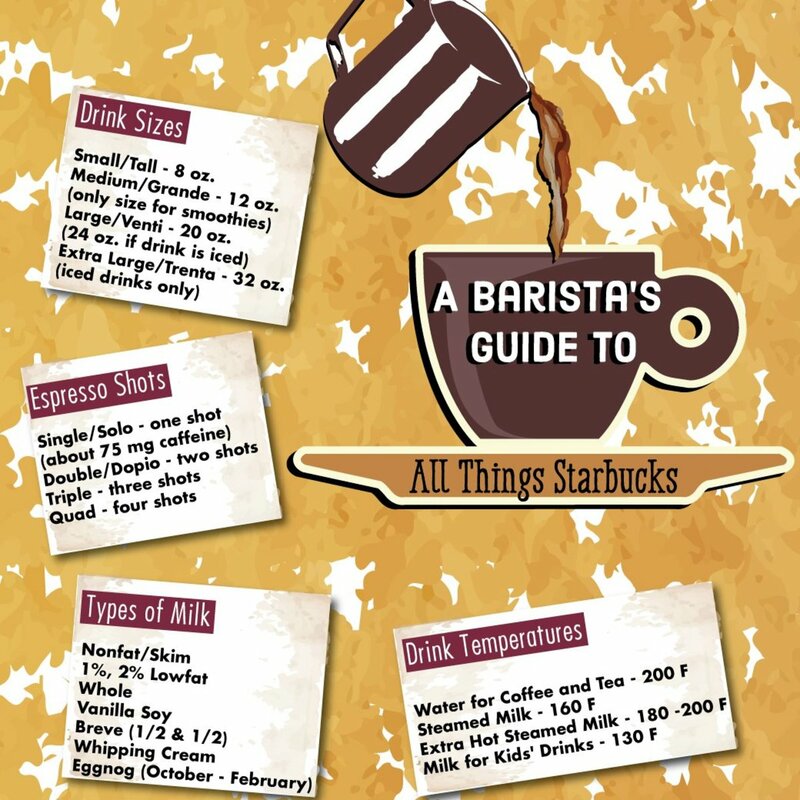 This guide covers the popular Chai Tea Latte as well as some lesser known items in the Starbucks barista's arsenal. 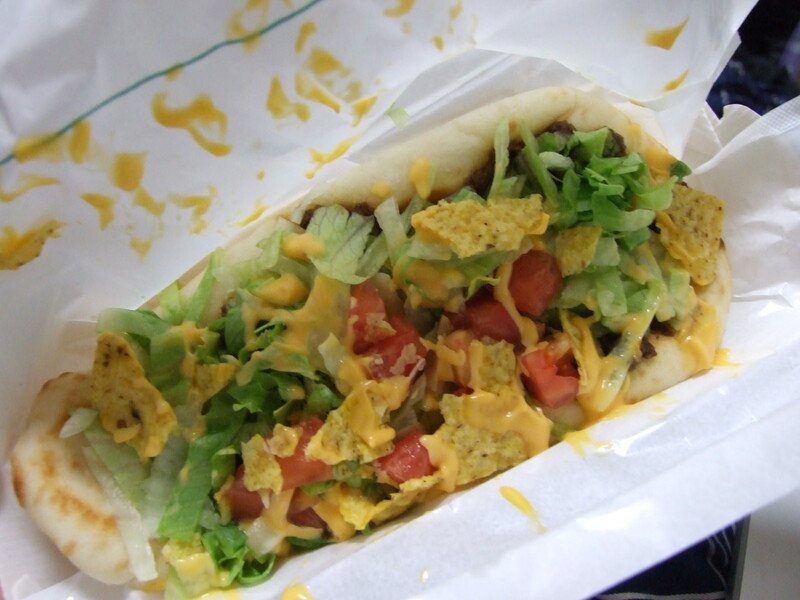 Many of us have enjoyed fast food restaurants, at least on occasion. Among the many available options are hamburgers, deli sandwiches, pizza, Mexican, Asian food... and of course, fried chicken. 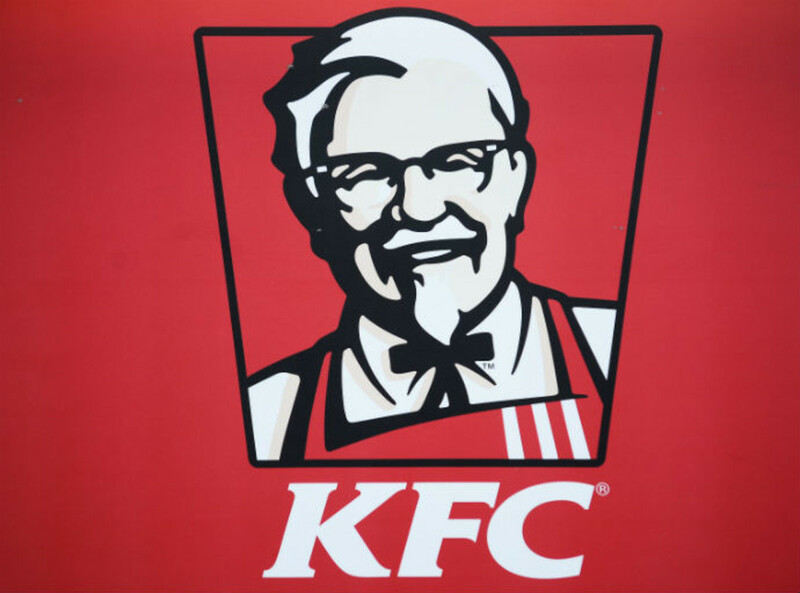 Of the many chicken establishments out there, none is more popular than KFC. 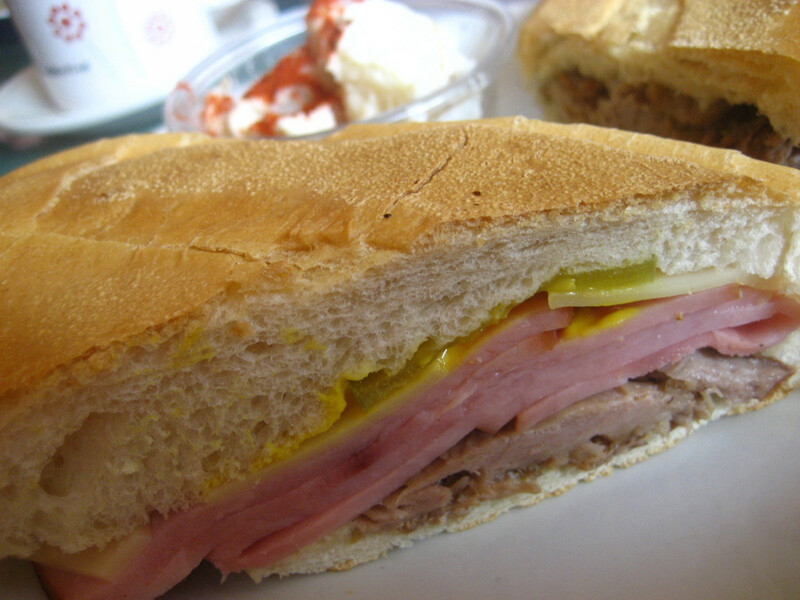 On a quest for a great Cuban sandwich in Key West, Florida? Here are three to try. I'll look at a few restaurants that offer mashed potatoes as a side dish and give you my opinions about them. 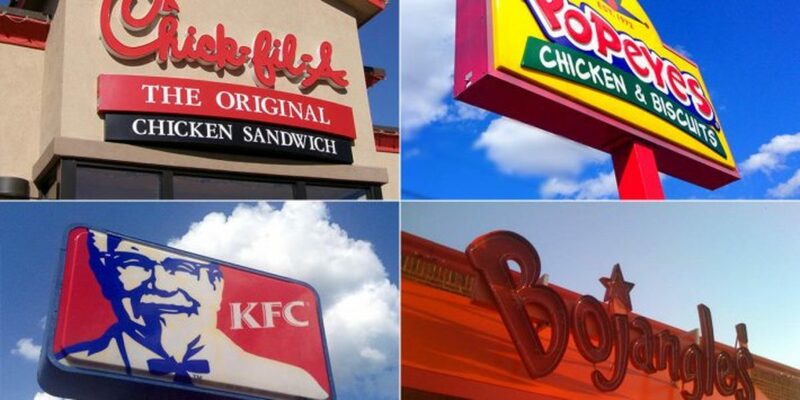 Many will be chicken restaurants. 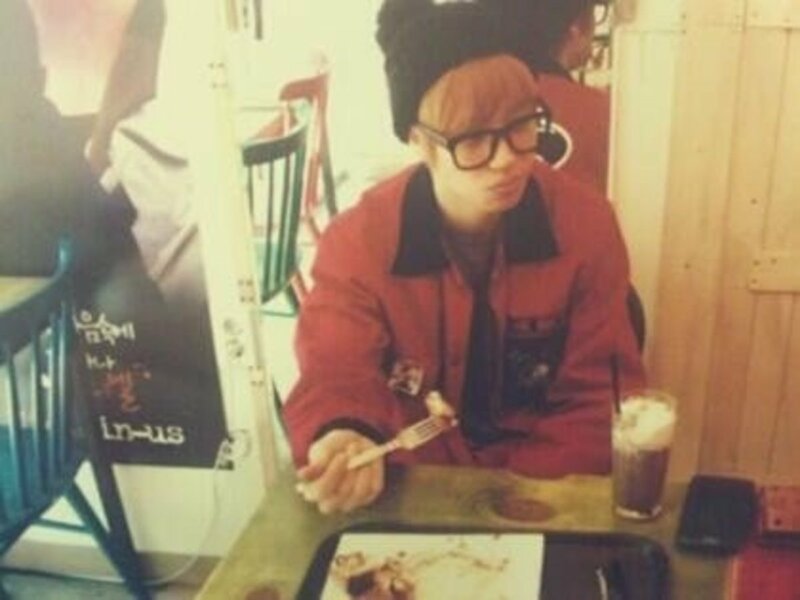 I'll expand on this as I discover new cuisines. 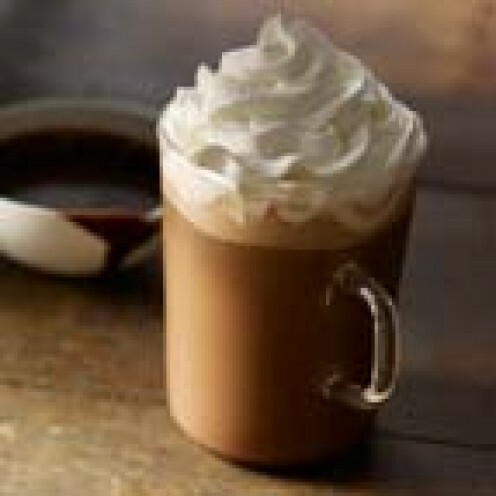 Look here to see the differences between Starbucks and McDonalds McCafe popular espresso drinks. Compare prices, calories and caffeine content. 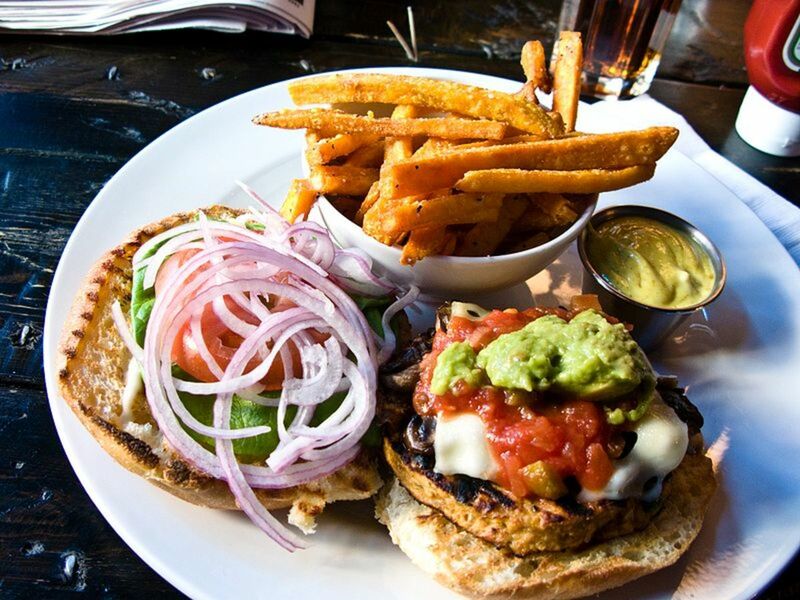 Looking for vegetarian and vegan restaurants in New York City? Then you need to check out this list of the top 10 restaurants in NY where both vegans and omnivores can sit side by side eating the same food and loving every bite. 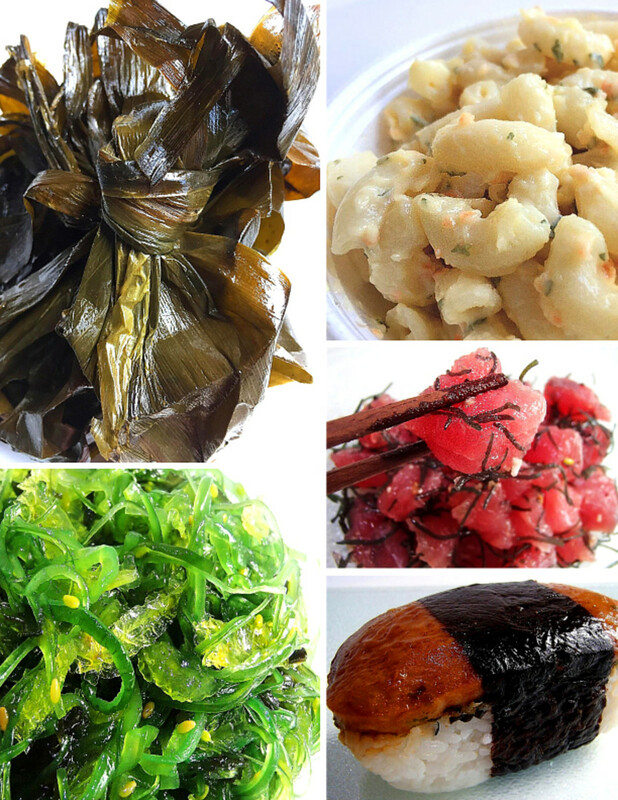 Discover 10 delicious Hawaiian foods that represent the incredible history and cultural diversity of this tropical paradise. 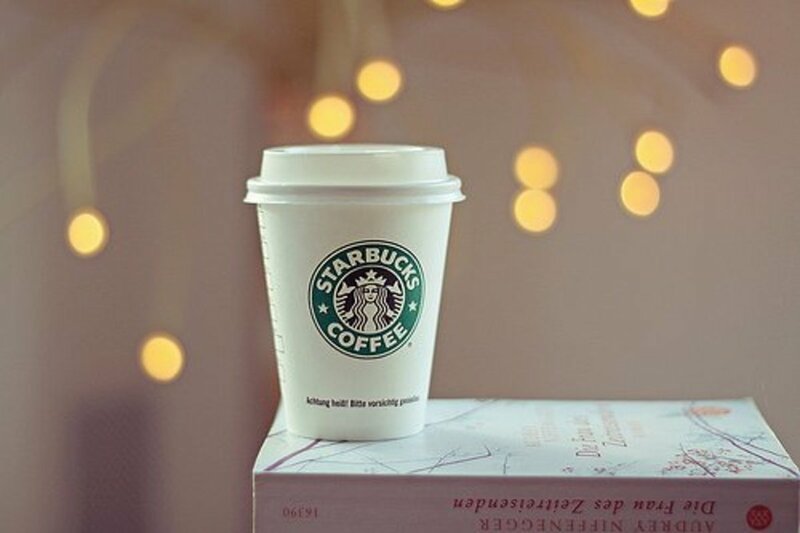 Do you overpay for the drink you buy at Starbucks? You do if you fall into one of these categories. 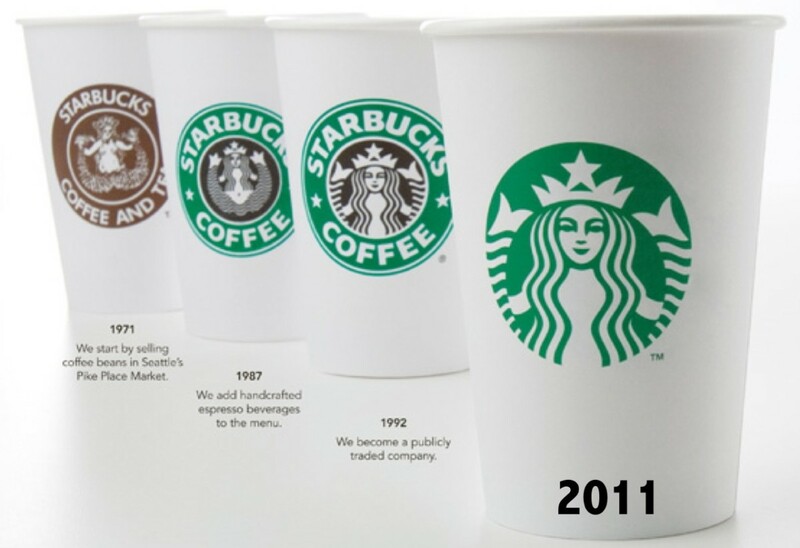 Are You Overpaying for Your Starbucks Drink? A straightforward guide all about the smoothies Starbucks offers with the bonus mention of Strawberry Blended Lemonades. 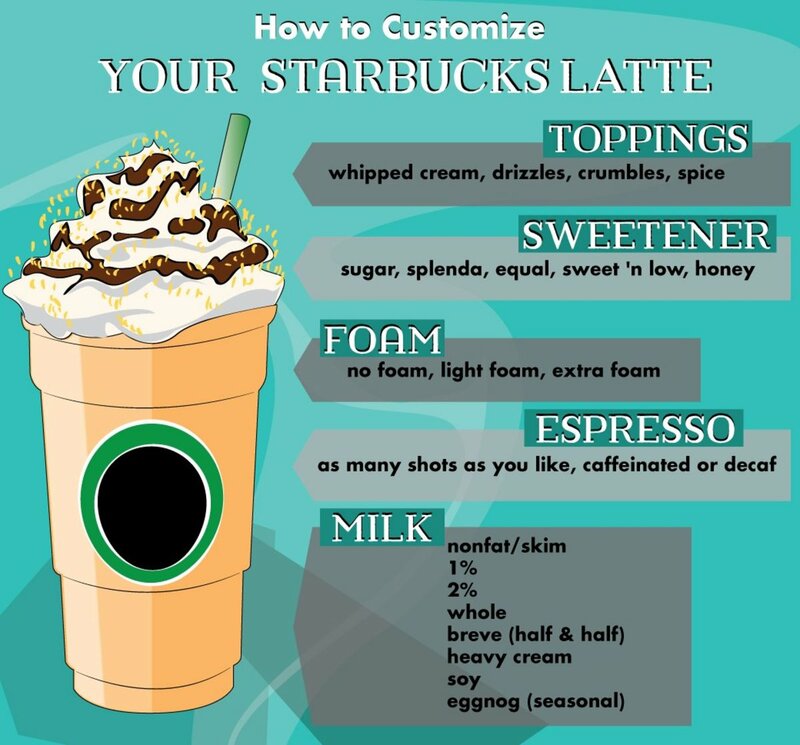 Learn all about these beverages from a certified Starbucks barista. 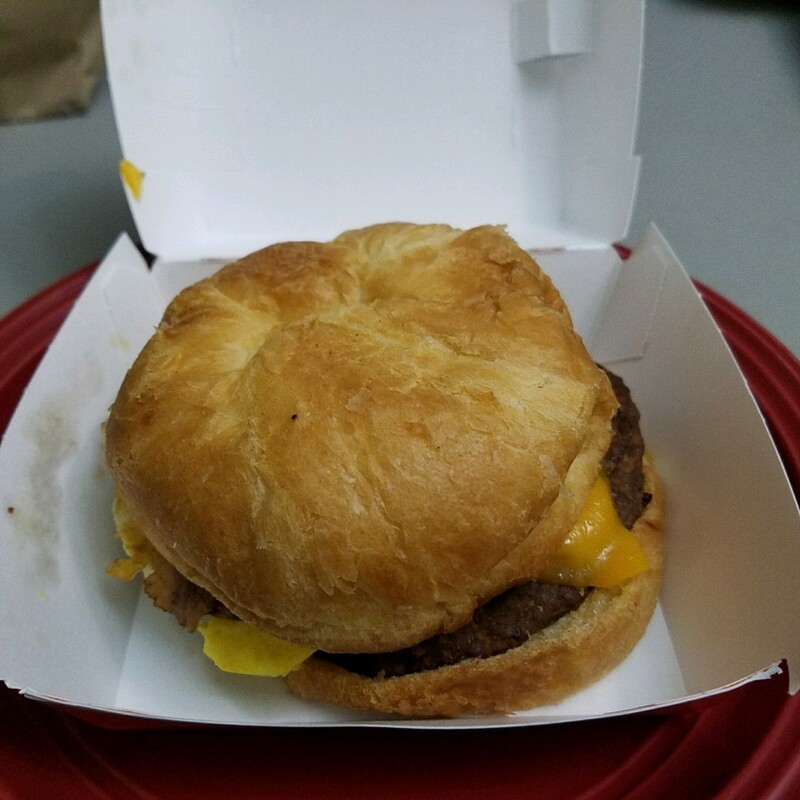 An honest review of Jack In The Box's new Brunchfast menu items. 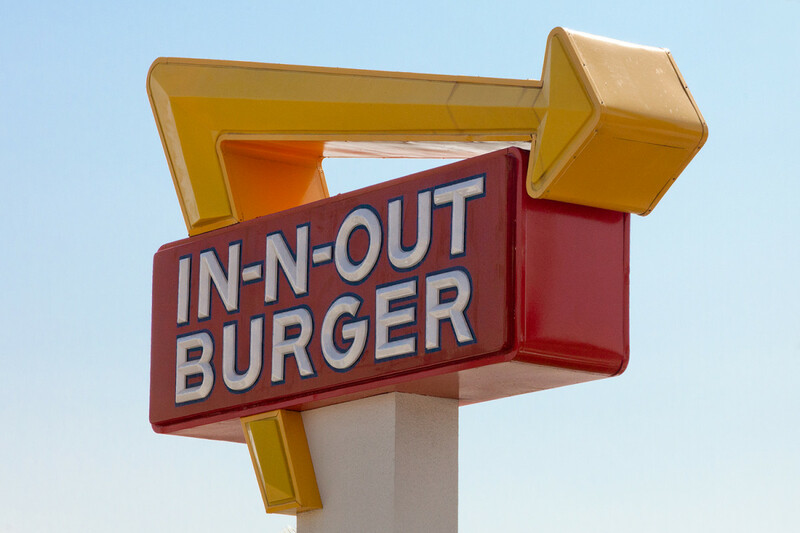 Have you ever wondered what it's like to work at the popular burger chain, In-N-Out? This article is about my six year experience "under the arrow", working as an employee for In-N-Out Burger. 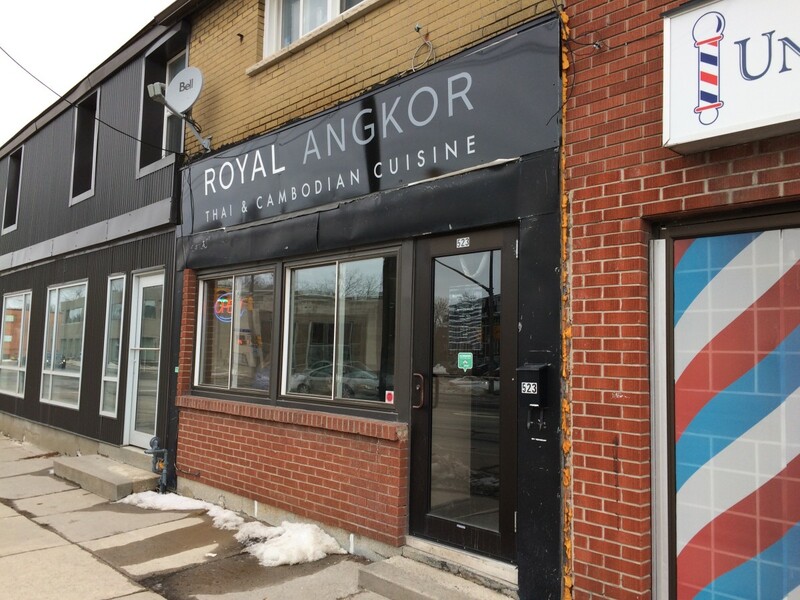 Royal Angkor is a Thai and Cambodian eatery in downtown Kingston, Ontario. 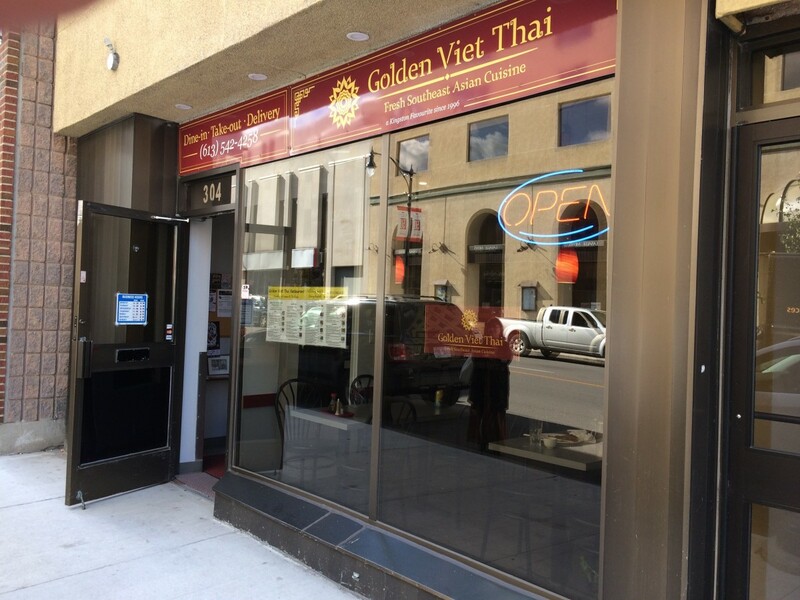 I had their Thai Vermicelli, which was all right, but I much preferred my friend's Red Curry Bamboo. Overall, I would recommend this restaurant. 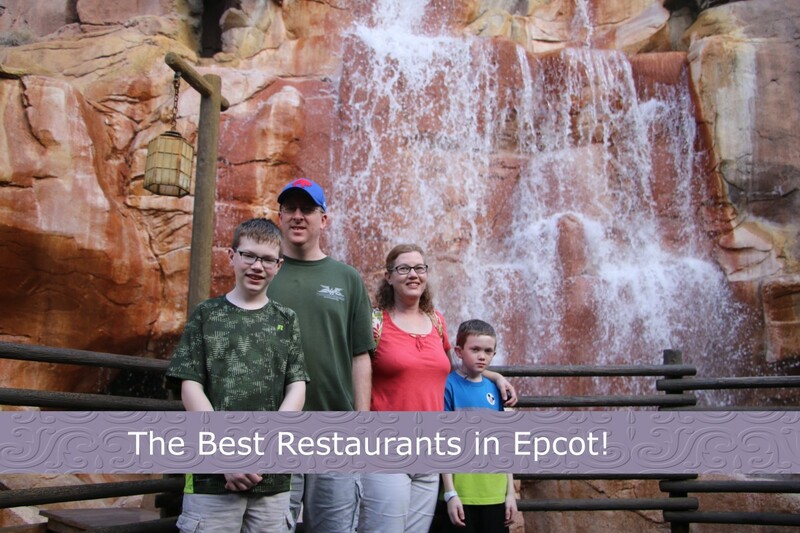 One of the four major parks located at Disney World, Epcot has the greatest variety and quality for in-park restaurants. 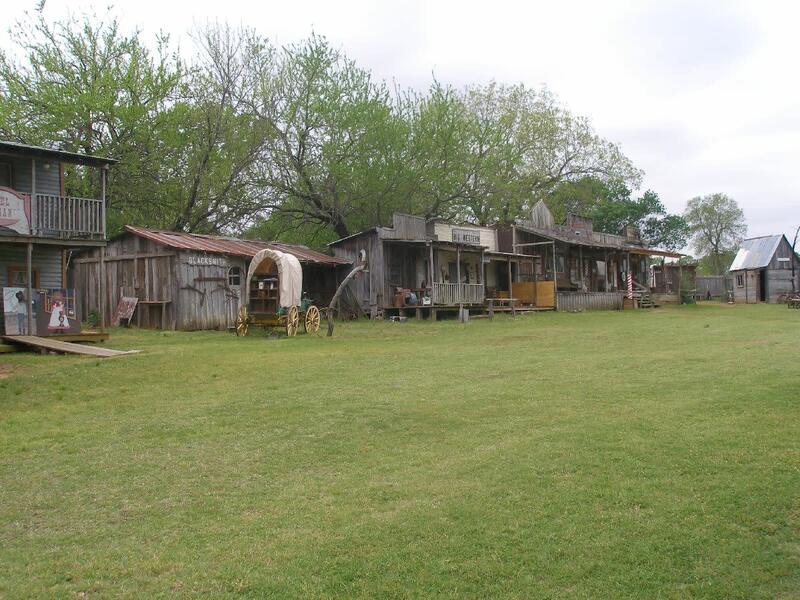 International cuisine and unique dining experiences enhance everyone’s day at this exciting park! 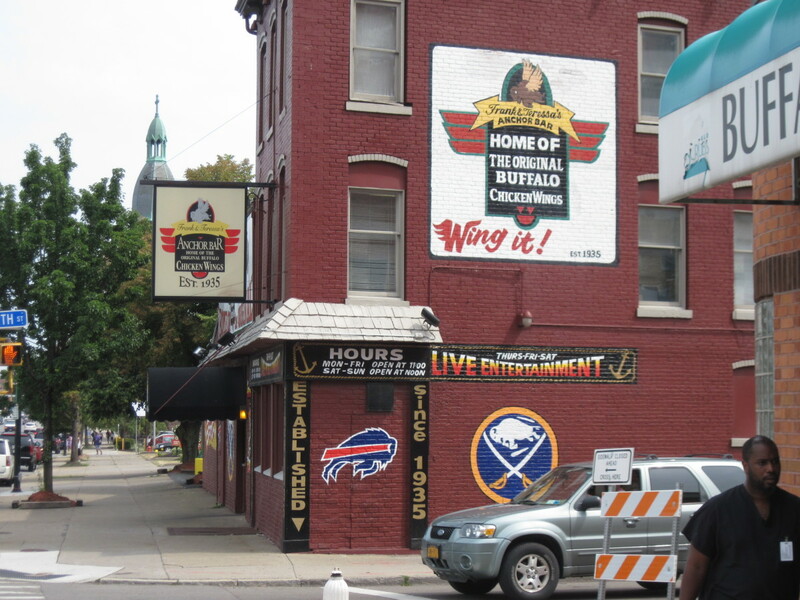 The much loved Buffalo wing got its start at the Anchor Bar in Buffalo, NY in the 1960s. 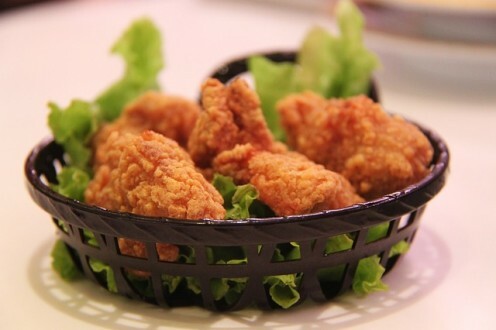 It's a place where history occurred that forever changed how chicken wings are prepared. 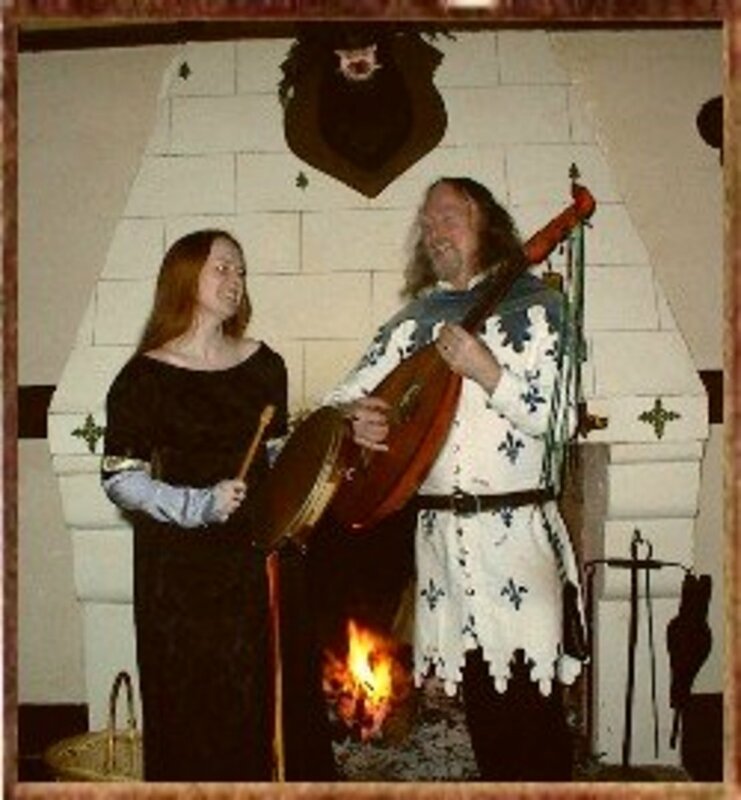 Either you've already been to this festival and you get to enjoy music and food—or you haven't been and you get to enjoy music, food, and a bizarre cavalcade of traditions you don't understand. What's not to love? 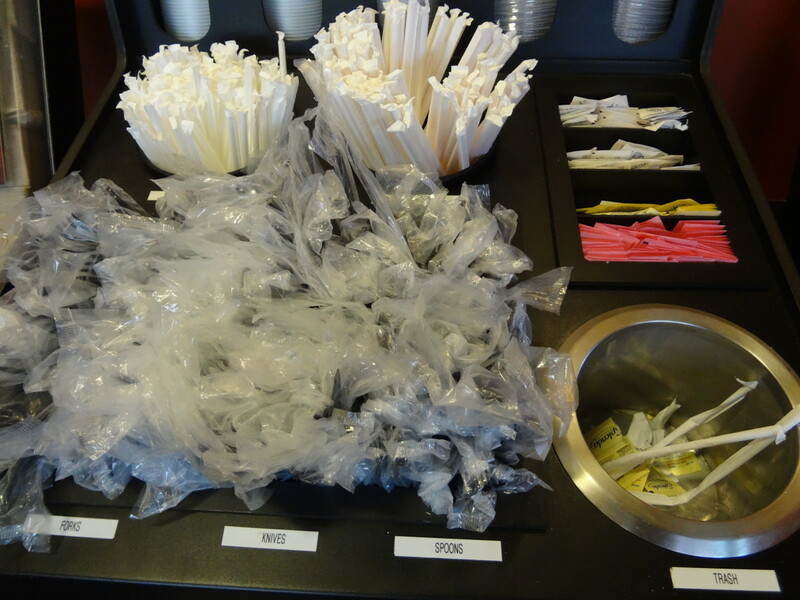 All you need to know about Starbucks' iced teas and iced tea lemonades. This guide was written by a Starbucks barista! 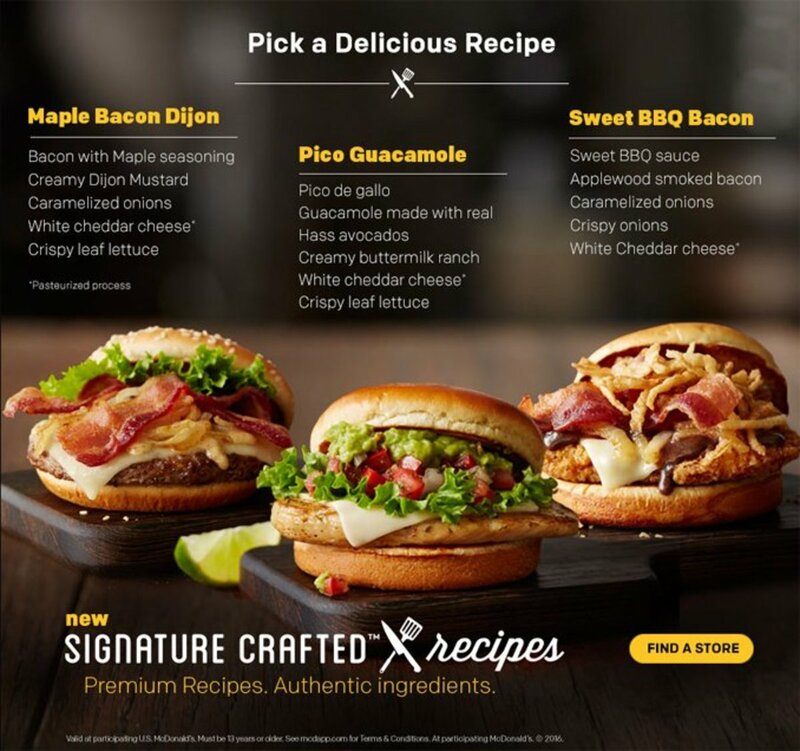 The McDonald's secret menu has a lot of delicious stuff on it. Have you ever tried anything from it? If not, this is the place to find a few odd, yet delicious, hidden menu items! 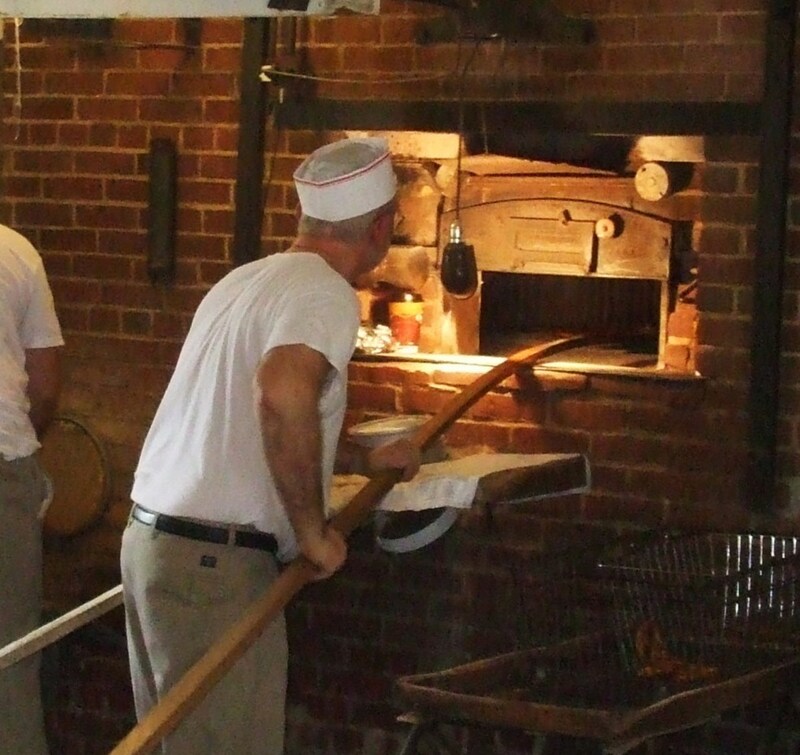 A description of a visit to an old-fashioned small Pennsylvania pretzel bakery and shop tucked into a residential neighborhood in a small town. It does not advertise, but the locals flock there. 14 pictures included. 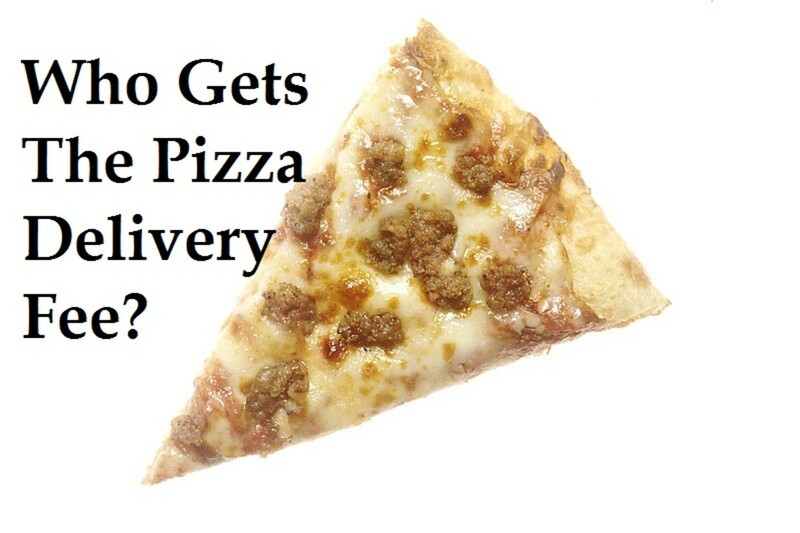 Pizza delivery fees are not tips to the driver. Who is pocketing that extra money? 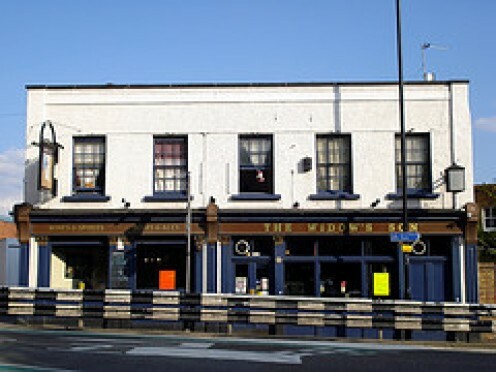 The English pub is still the hub of the community in most parts of the UK. 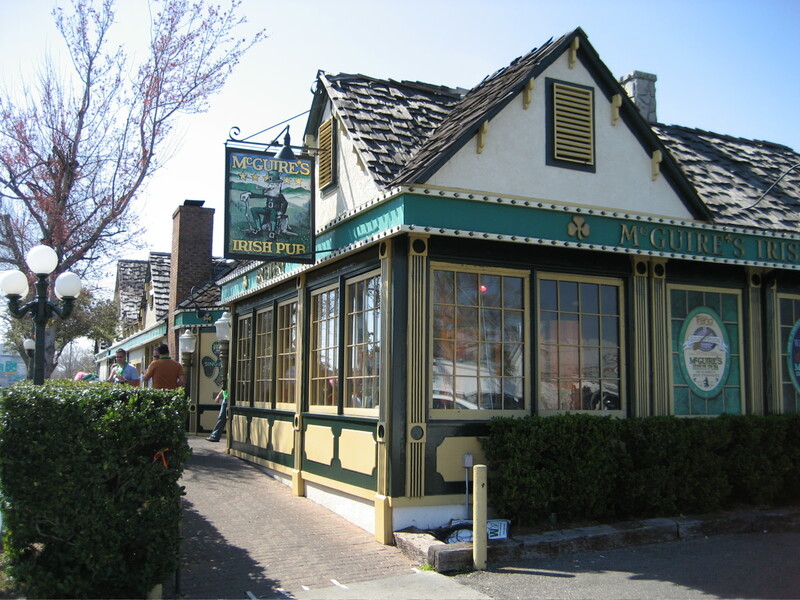 But what does the future hold for the historic public house? 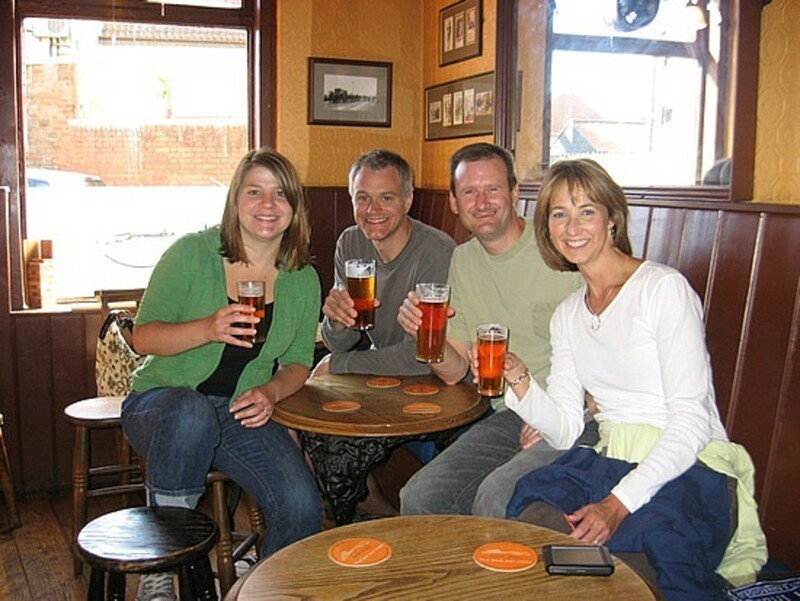 A look at some of the oldest and most interesting 'watering holes' England has to offer. 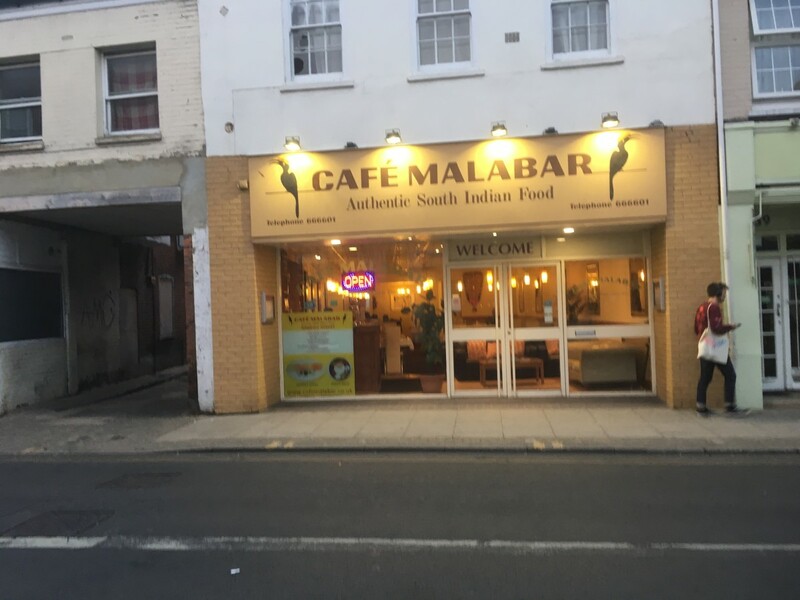 Cafe Malabar is a little slice of South India in Norfolk. Authentic dishes and large portions offer something different from most Indian restaurants in the UK. 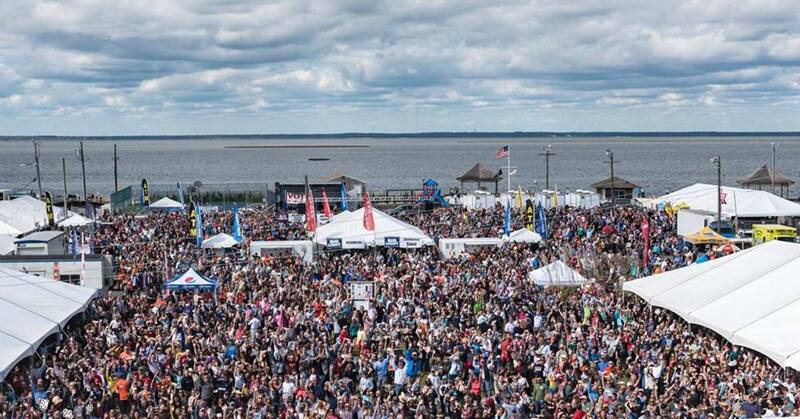 There are fewer places in the world with a thriving music scene as active as New Orleans. 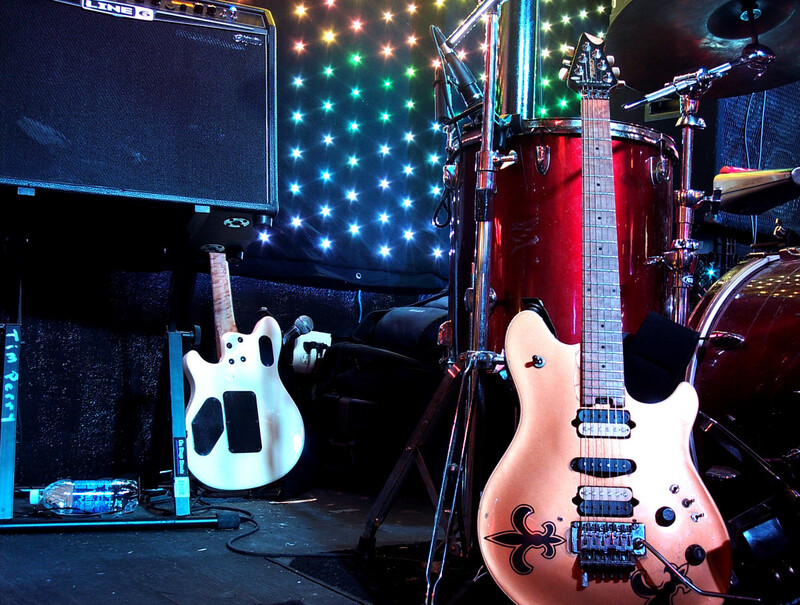 It's THE place to hear some of the best rock music and musicians in the land. Here are the best places to go. My picks of the best theme restaurants in the US. 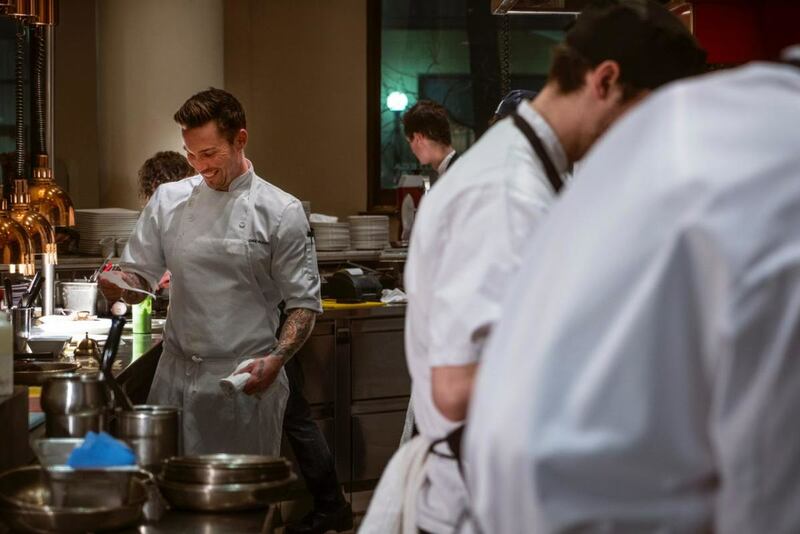 This is an interview with Dave Bohai, chef de cuisine at Teatro Restaurant in Calgary. 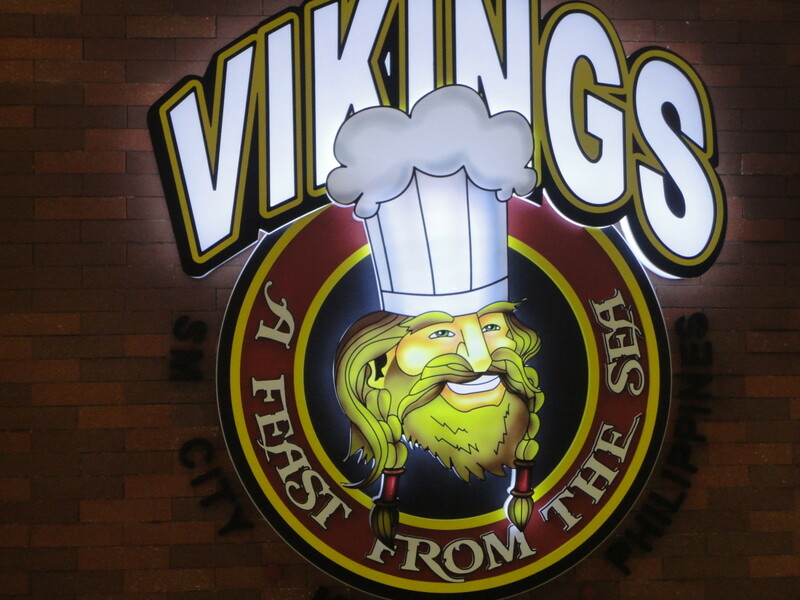 Vikings is one of most popular buffet restaurants in the Philippines. In Metro Manila, branches can be found in some malls. If you are from Marikina, you can find a one at the SM Mall. Looking for a fun and funky place to stuff your face in Oklahoma? This list of 14 unique restaurants is sure to tickle your fancy. If you want to save money on food when you visit Japan, this list can be a very great help. And no, you won't get hungry with these options. A barista-written guide to Starbucks' new in-store Teavana full-leaf teas. 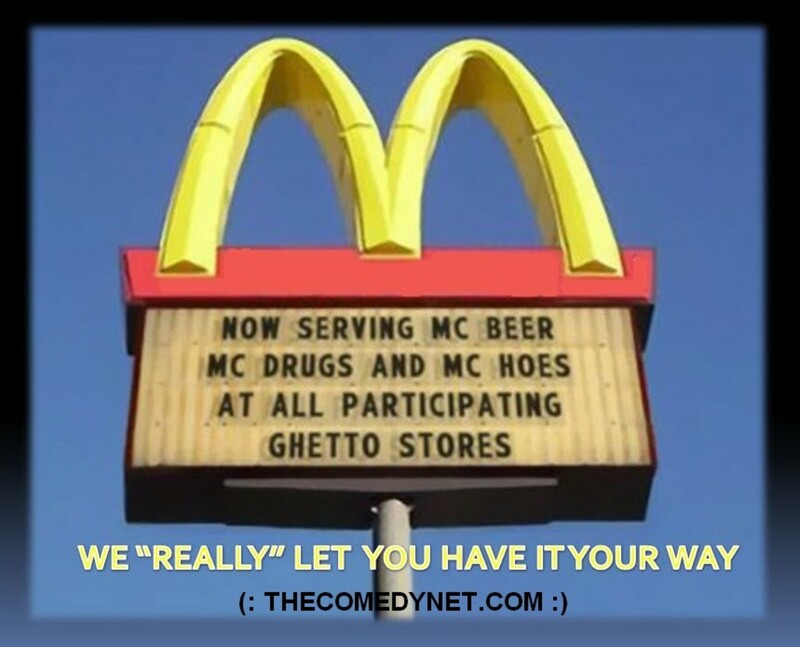 Drugs, alcohol, and tons of drama...that's what you'll find on the menu at your local McDonald's. 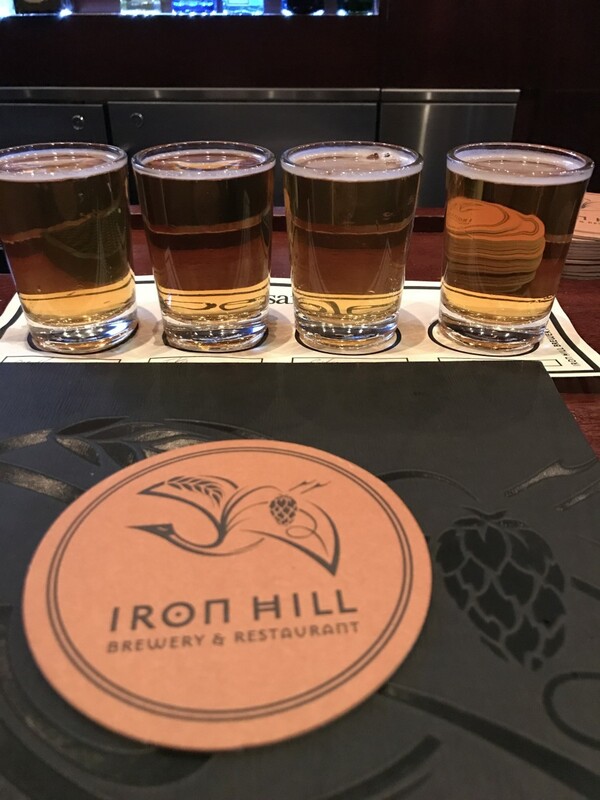 Visiting Iron Hill Brewery, a brewery/restaurant in Montgomeryville, Pennsylvania, was a unique and enjoyable experience. They preach loudly about the organic, artisanal chicken they buy at the farmer’s markets, and they bang on forever over quinoa-encrusted tofu. They are food snobs, and they need to be dealt with. 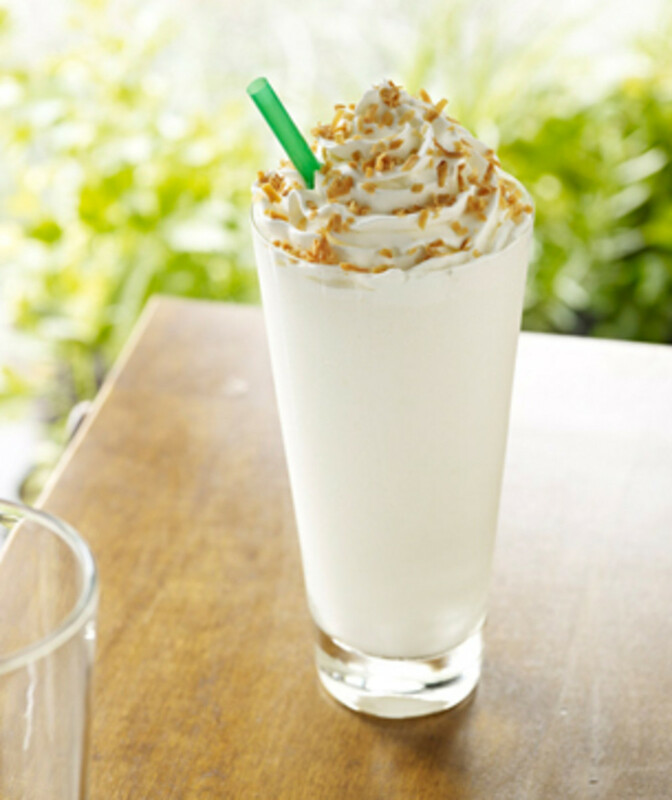 Everything you ever wanted or needed to know about Starbucks Blended Creme Frappuccinos, as brought to you by a barista. 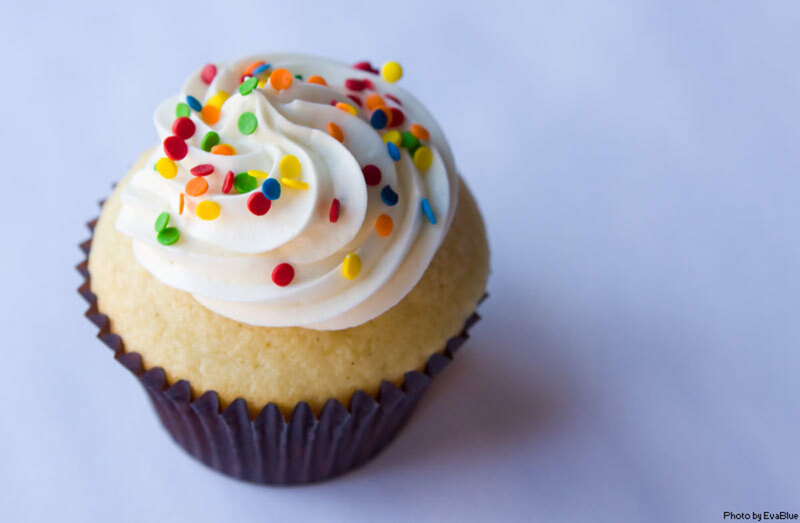 10 Great Cupcake Shops in Melbourne, Australia! Tagaytay City boasts awesome scenery and a cool climate. 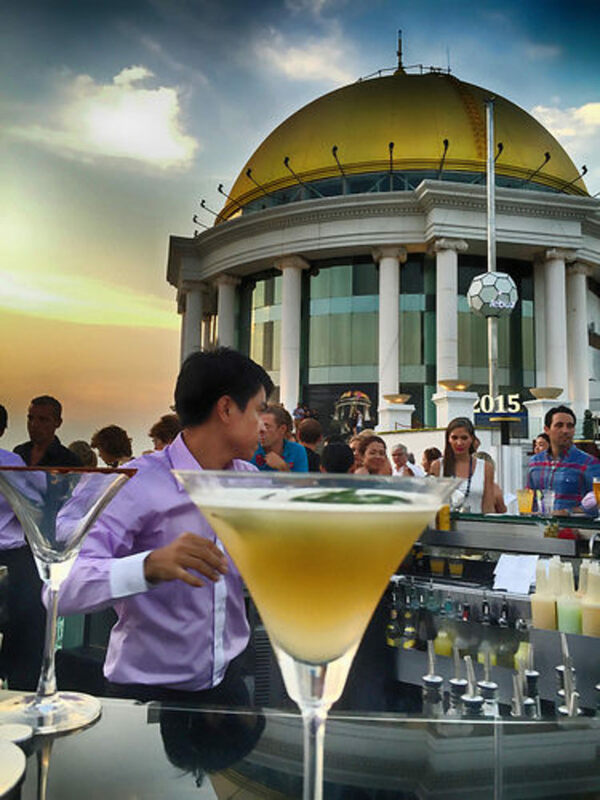 The city also has many culinary treasures that people should check out—here are the top 3. 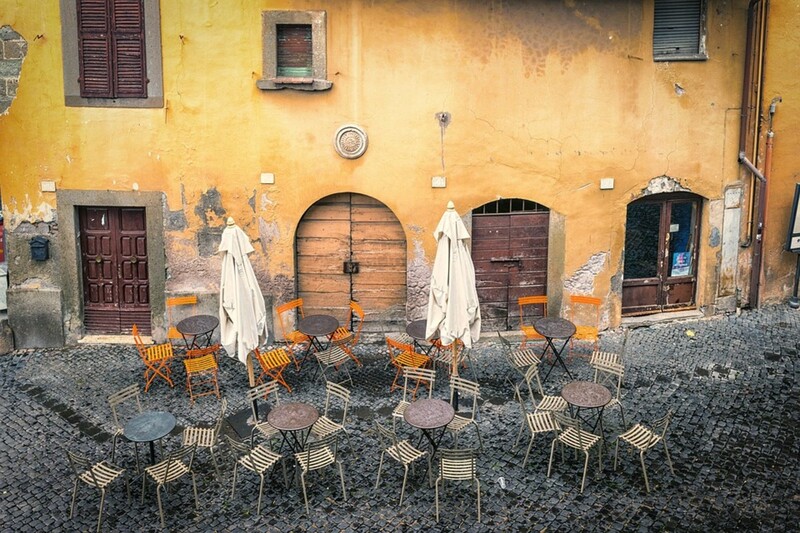 Sometimes negative reviews of restaurants in Italy are more about cultural differences than bad food or service. Learn when to pay attention to bad reviews and when to ignore them. Wasserhund is a local micro brewery focusing on german beers that also serves some of the best pizza in town. 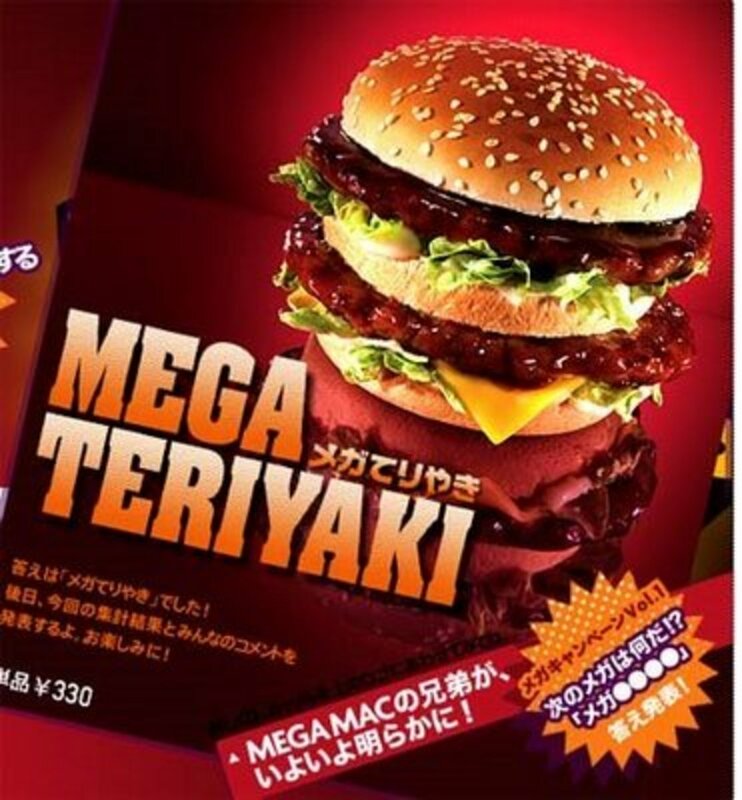 Japanese Mcdonalds are very different from those in America. 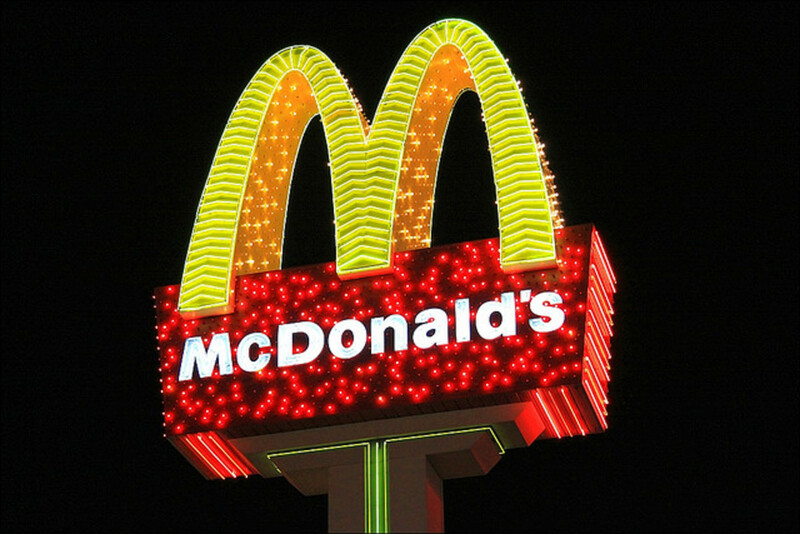 This article looks at the interesting differences and between McDonalds in Japan and America. If you're visiting the Mission neighborhood in San Francisco, or if you're a local looking for some epic grub, be sure to check out these 6 phenomenal bakeries. Aside from their talent as performers, many of South Korea's celebrities are also apt businessmen. Many of them have used their money to start restaurants. 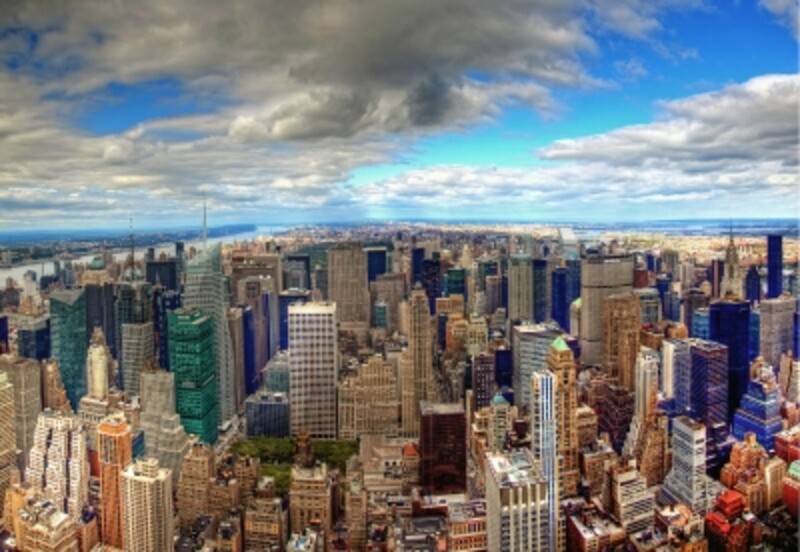 These are 10 you should visit. 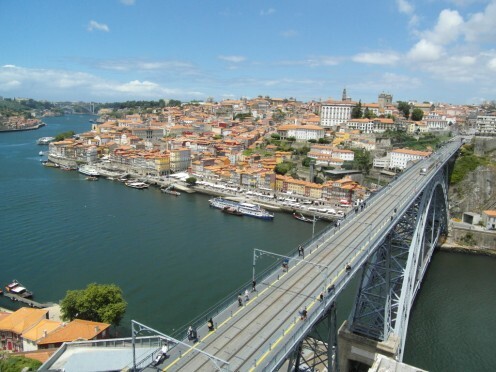 A guide to some of the most reasonably priced local restaurants and bars around Porto, based on our experiences whilst visiting the area. 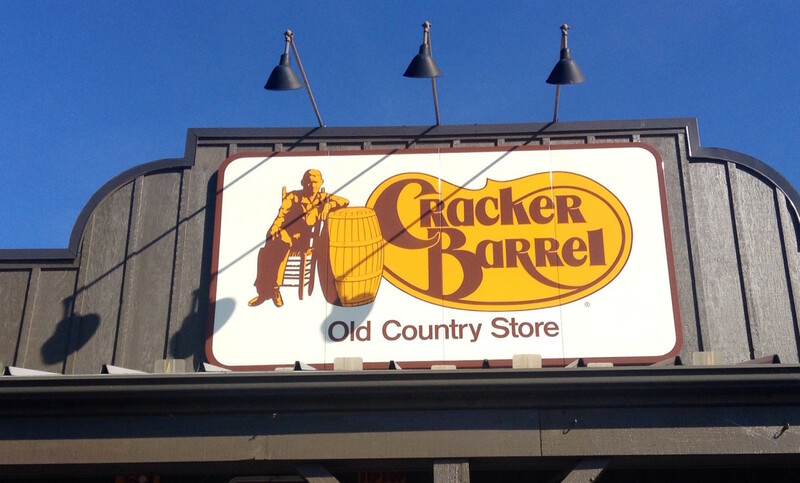 A tongue-in-cheek review of Cracker Barrel. For the typical tourist visiting Cáceres, the maps and tourist offices may send you around the Plaza Mayor in order to eat your meals. 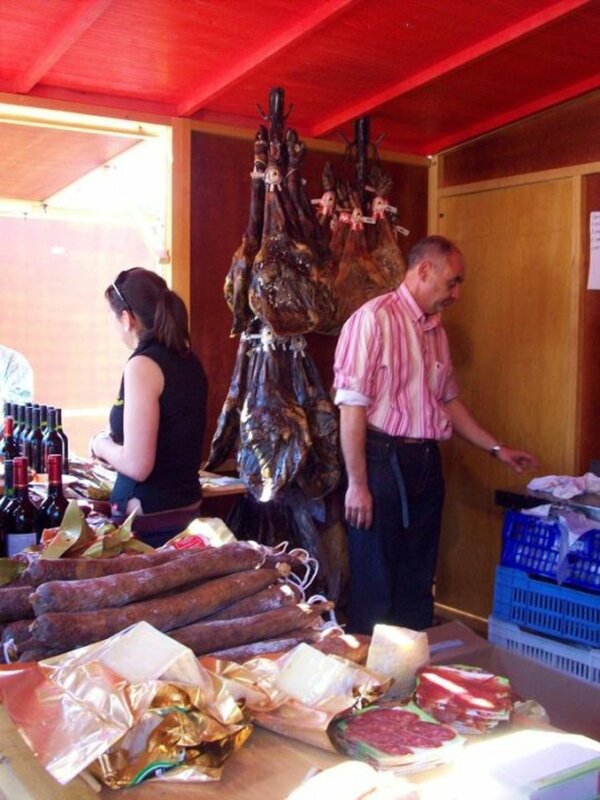 If you’d rather avoid the touristy part for meals and go places where you can mingle with the locals and really experience the Spanish way of life, this is for you! 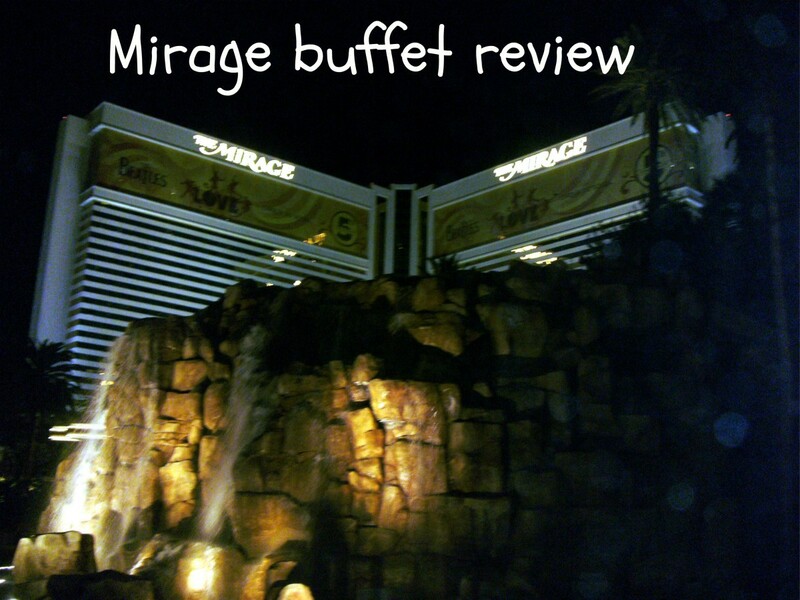 A review of Cravings Buffet, in the Mirage casino. One of the many Las Vegas buffets that the town is famous for. 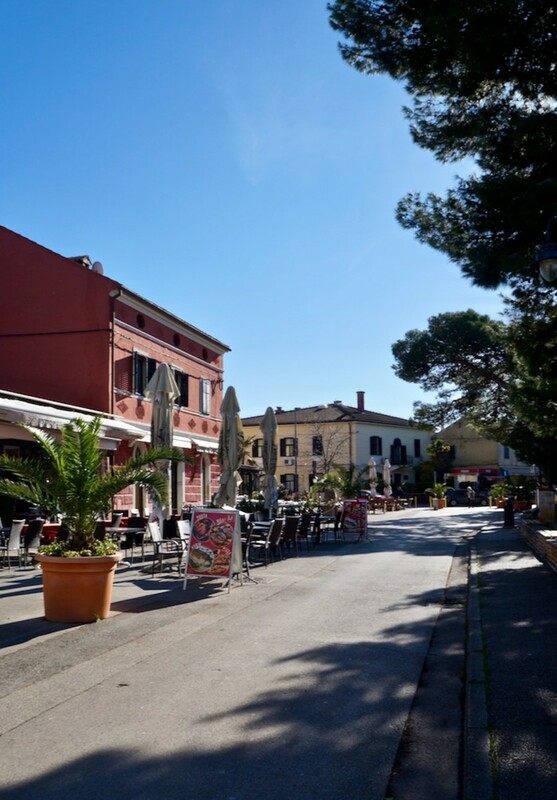 Guidelines and tips for eating healthy meals at Italian restaurants, including healthy menu choices, and foods to avoid. 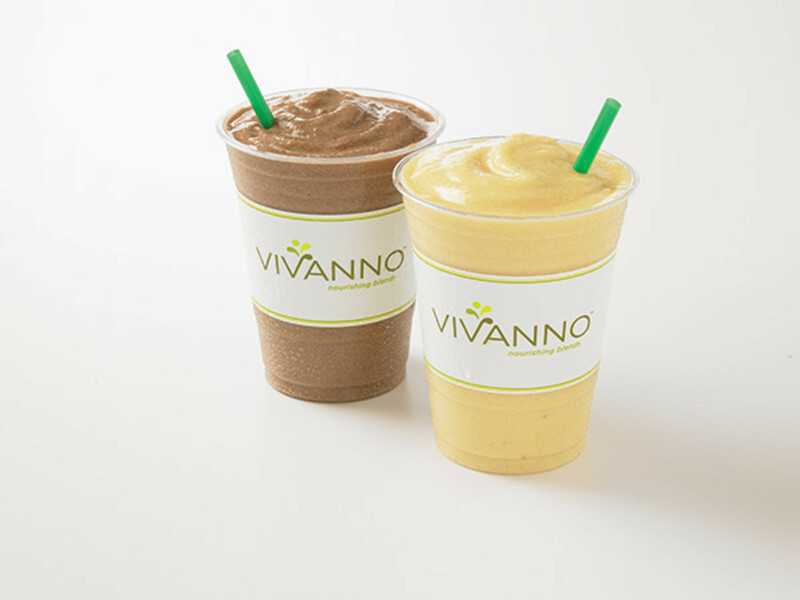 Trying to eat healthier without cutting out your favorite Starbucks drink? Or, just looking to save a bit on the daily cost? 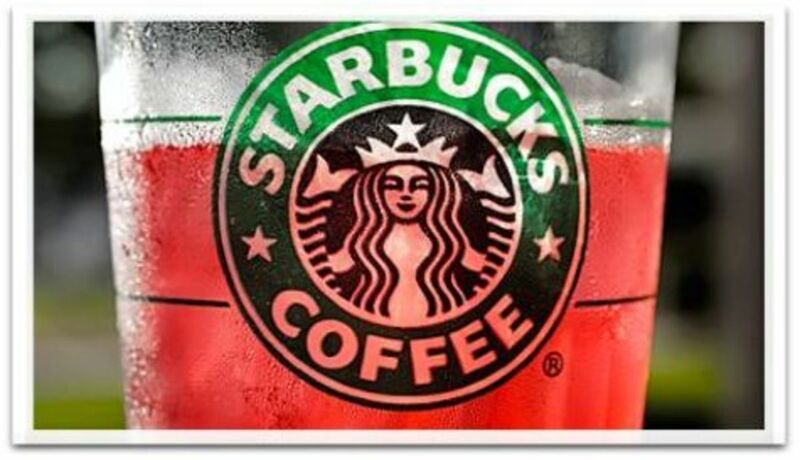 Here are ten easy ways to cut calories in your favorite Starbucks drink. 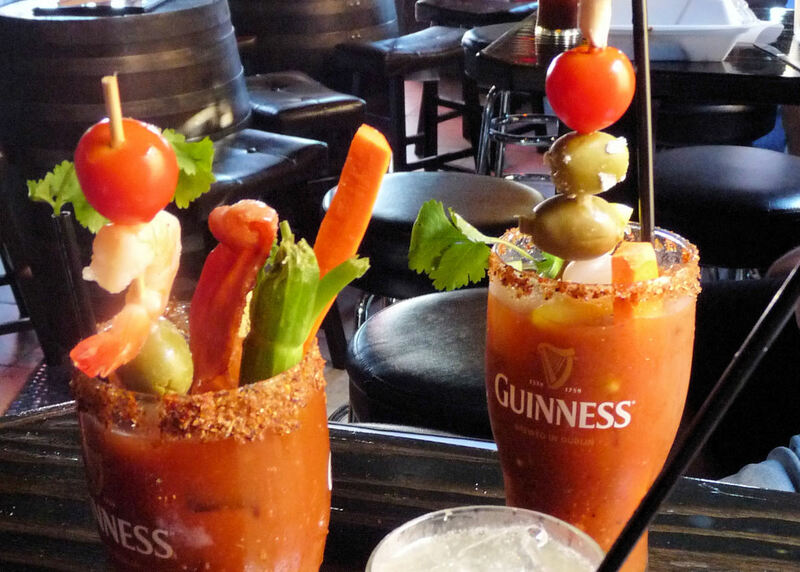 San Diego has such a lively bar scene, it could be the bar capital of America. Nay, the world! The Universe! Well, you get the picture. 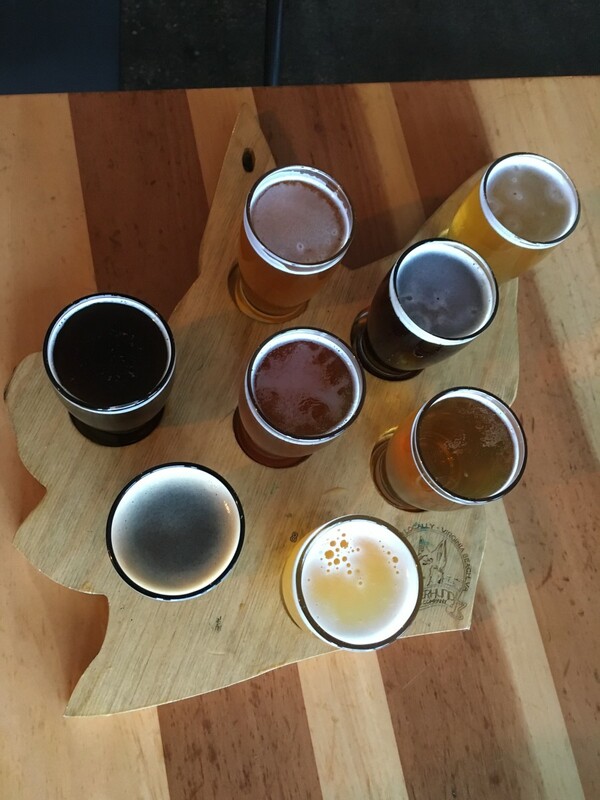 My 8 favorite local bars. 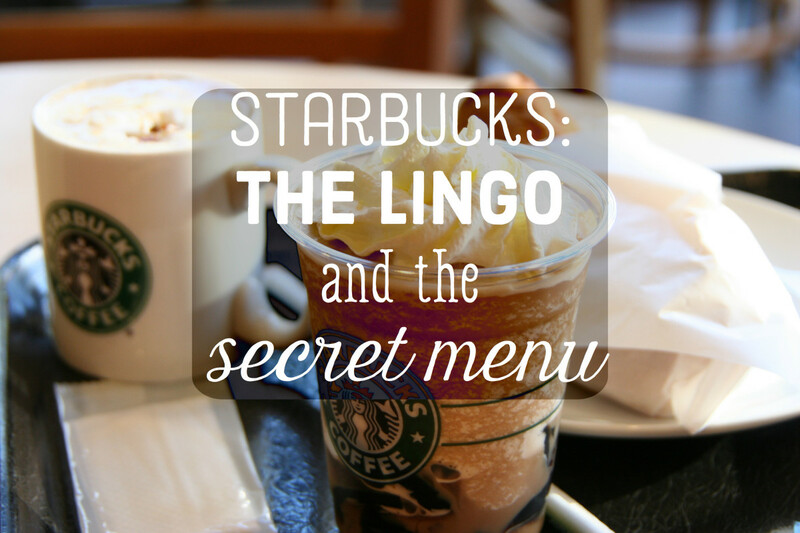 A brief guide to the words Starbucks fanatics use and also unofficial drinks created using their ingredients. Breakfast is the most important meal of the day—or so we're told. And in today's day and age, sandwiches are not just for lunch. Listed below are some examples of available breakfast sandwiches you might find at a local restaurant. Those of you who enjoy hamburgers understand that they come in a large variety. 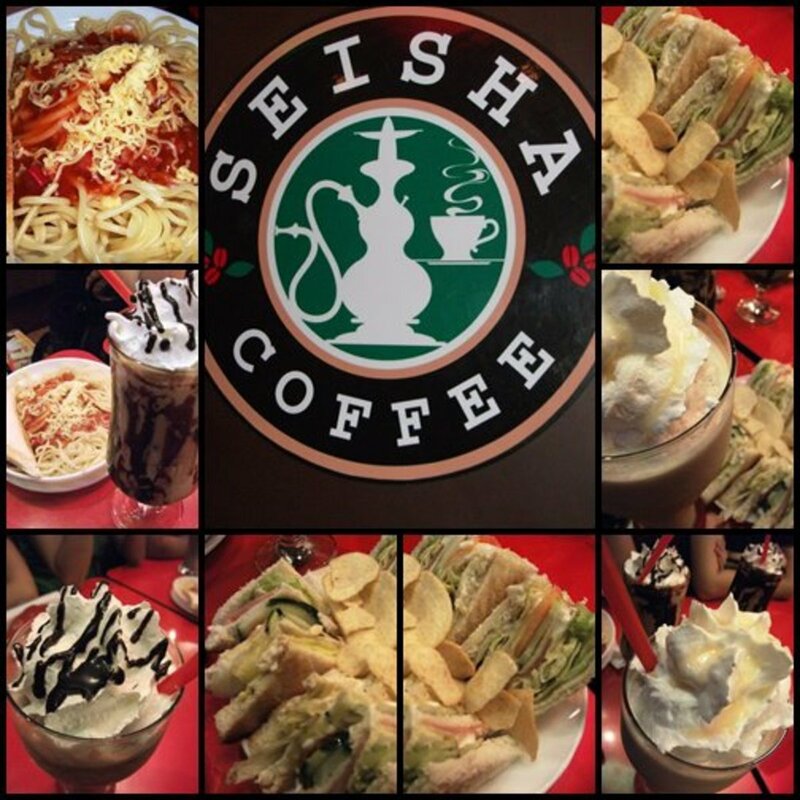 You also have a wide selection of eateries to choose from. In fact, your opinions are nearly infinite. This article celebrates some of the more popular and tasty varieties available. The basics about how Starbucks makes their cappuccinos, brought to you by a certified barista. 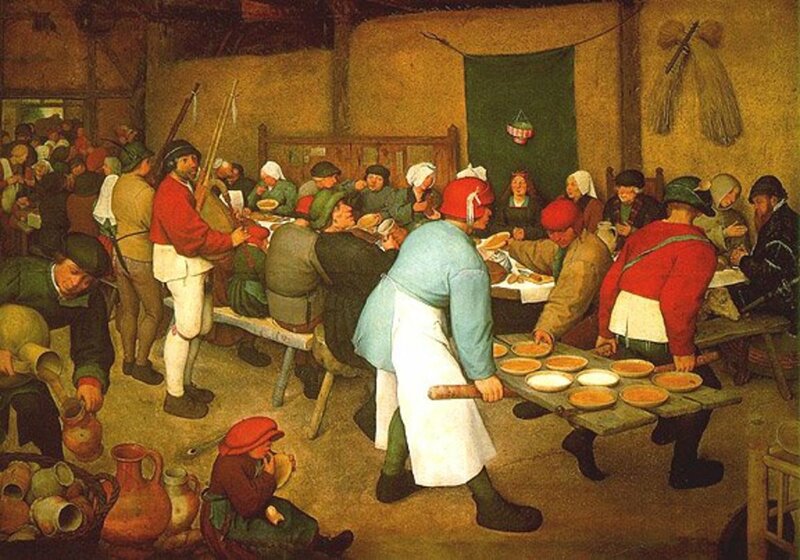 Restaurants with an "all you can eat" buffet meal at a set price can be a good value for diners. Here are some tips on how to eat a lot at a buffet and get the best value. 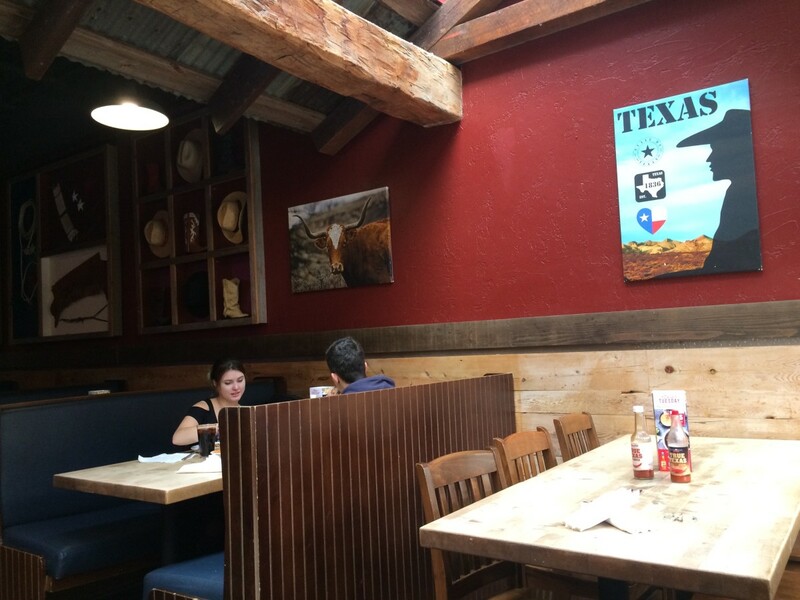 Lone Star Texas Grill is a popular downtown Kingston eatery that specializes in Tex-Mex food. I had their BBQ Bacon Burger during my last visit. Their presentation wasn't the greatest, but the food was pretty enjoyable. Overall, I would recommend this restaurant. 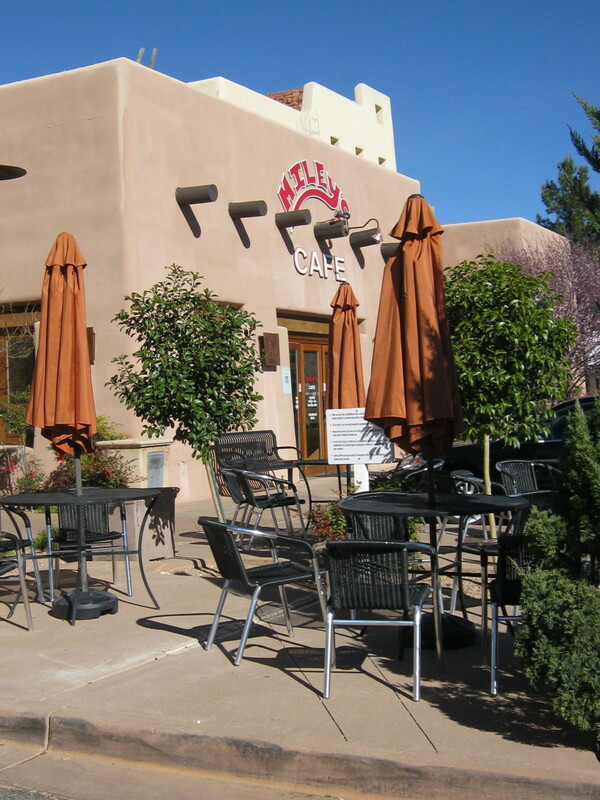 My suggestions for finding the perfect places to eat while visiting Sedona from take out to celebrating a special occasion. I really enjoy chicken tenders, nuggets, strips, etc. 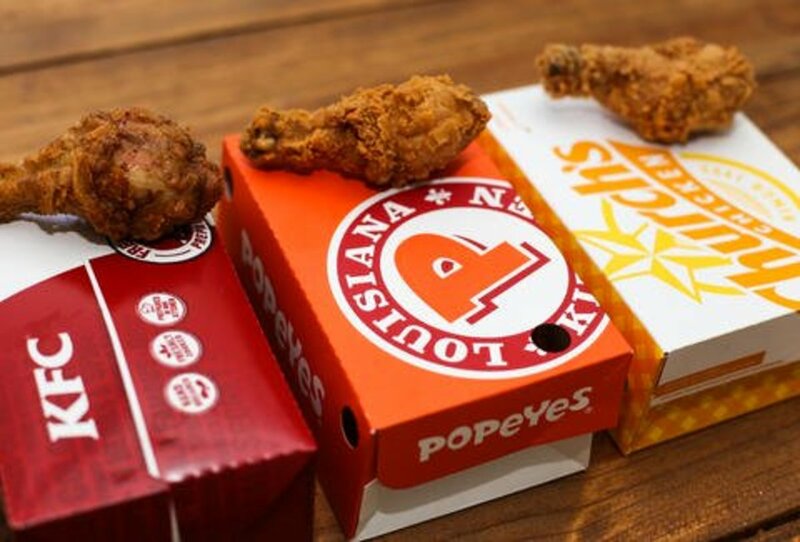 I review some examples here, and my rate my opinions on some fast-food chicken options. Do you agree? I'll try and keep this page updated. The stores I've sampled are in California. Depending upon your location, availability may be limited. 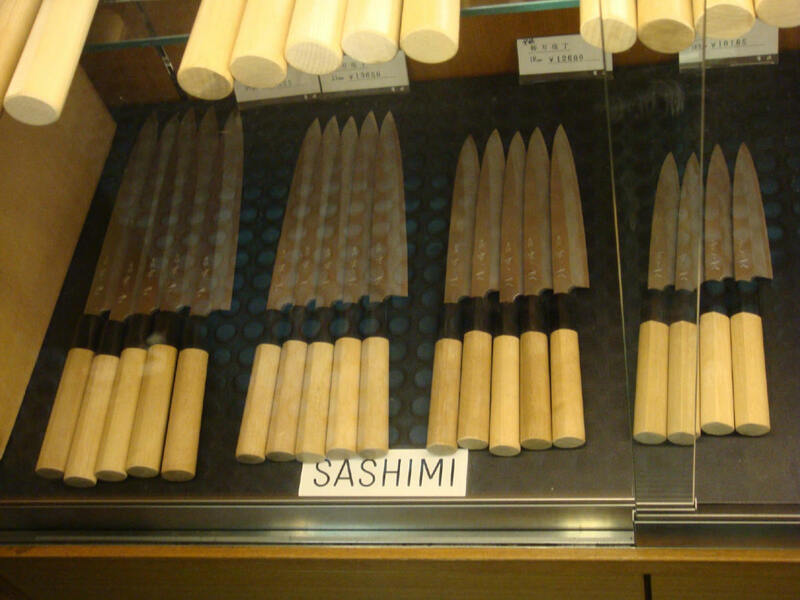 Sushi is so fashionable nowadays. One can find sushi joints the world over and, oh, California rolls are just the thing, aren't they? Well, yes. Be discerning when you want to try great sushi. 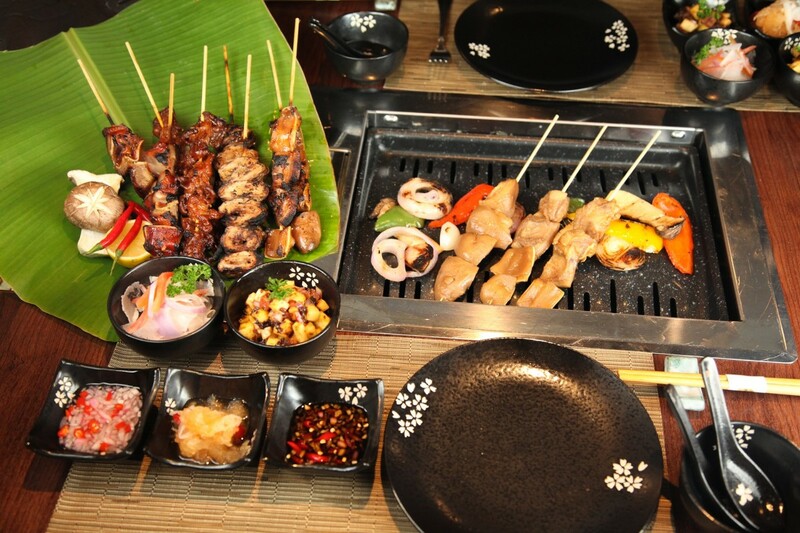 Filipino food-lovers have strong sense of loyalty. 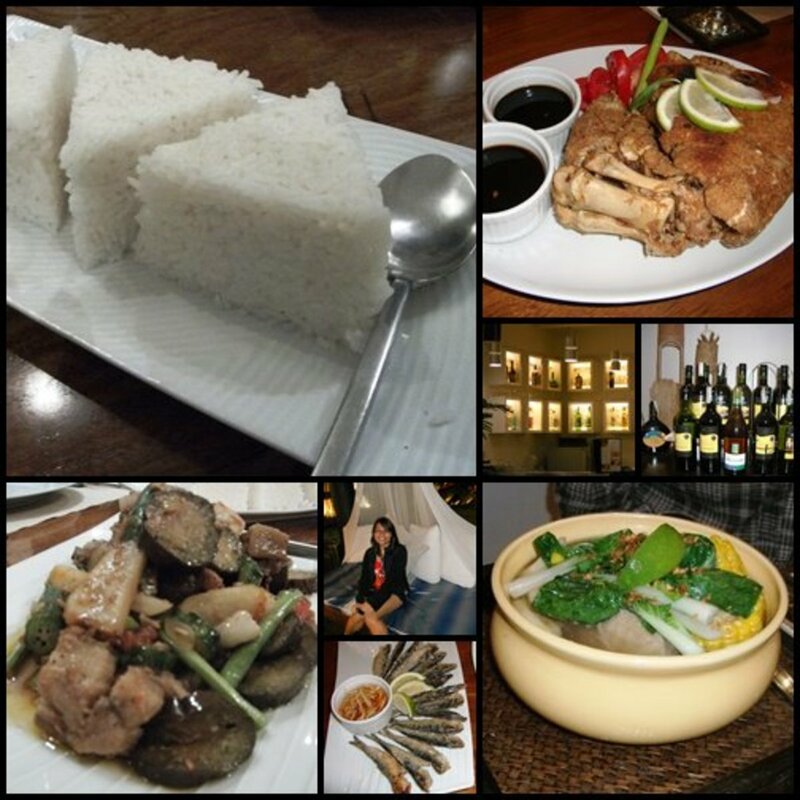 A restaurant that was most favorited has: delicious food, an authentic ambiance, and a hospitable service. 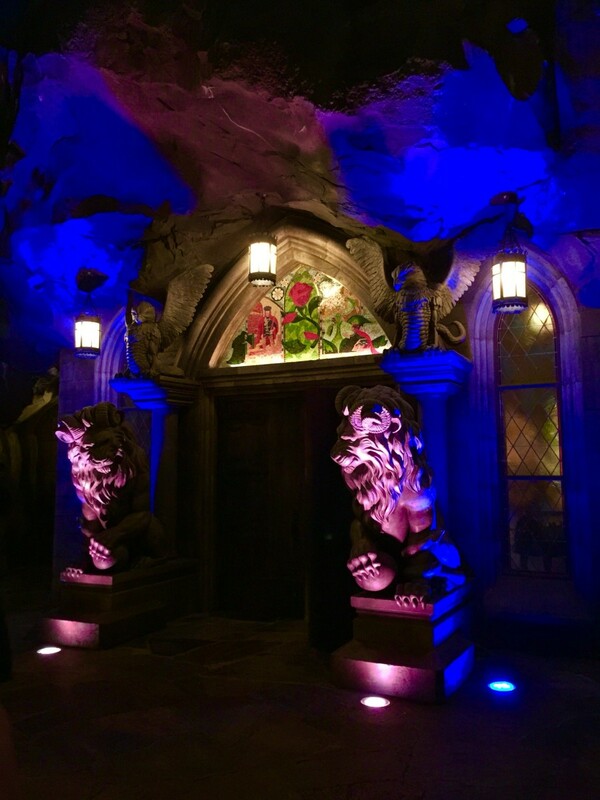 Our first visit to the Beast's castle was a favorite Disney meal and memory! 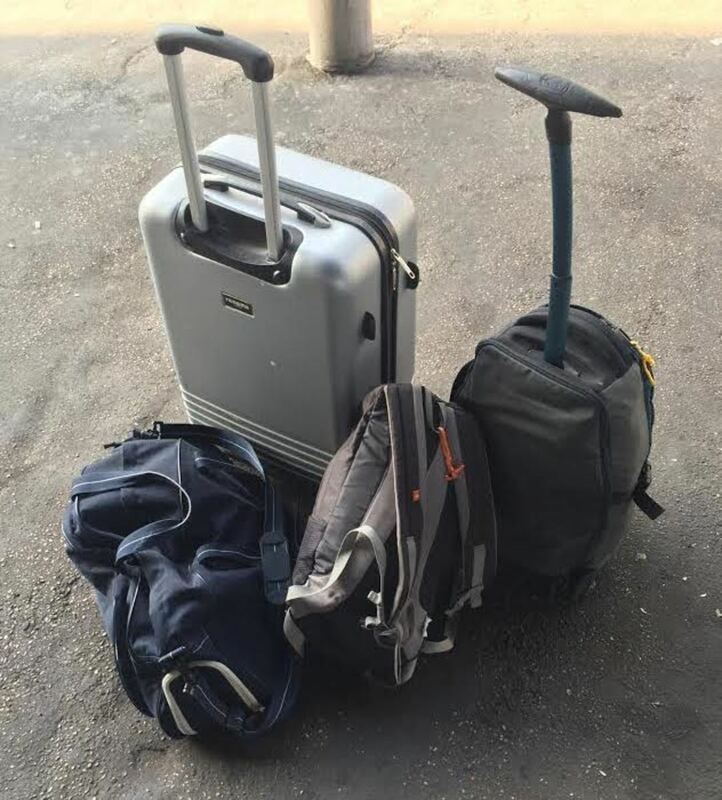 A brief review and a few words. The BBQ bacon was my favorite. 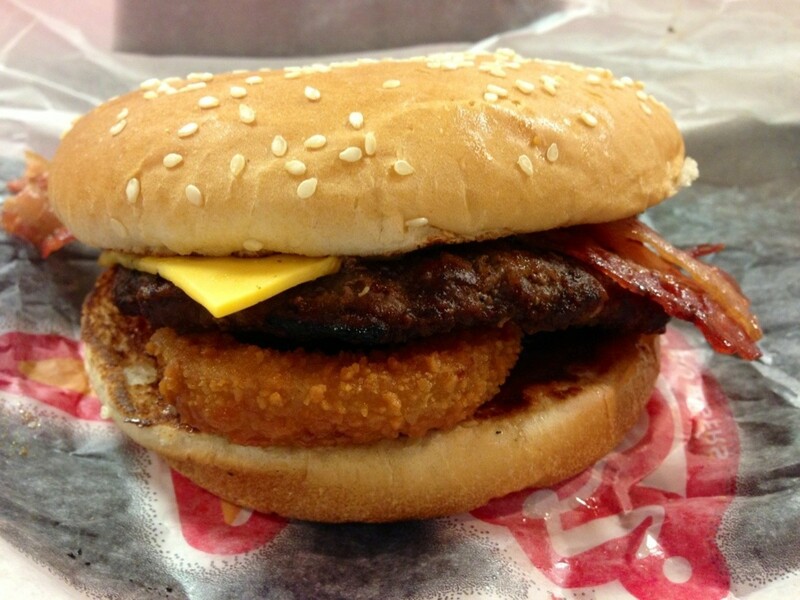 But then again, the BBQ cheeseburger from any restaurant is preferable. 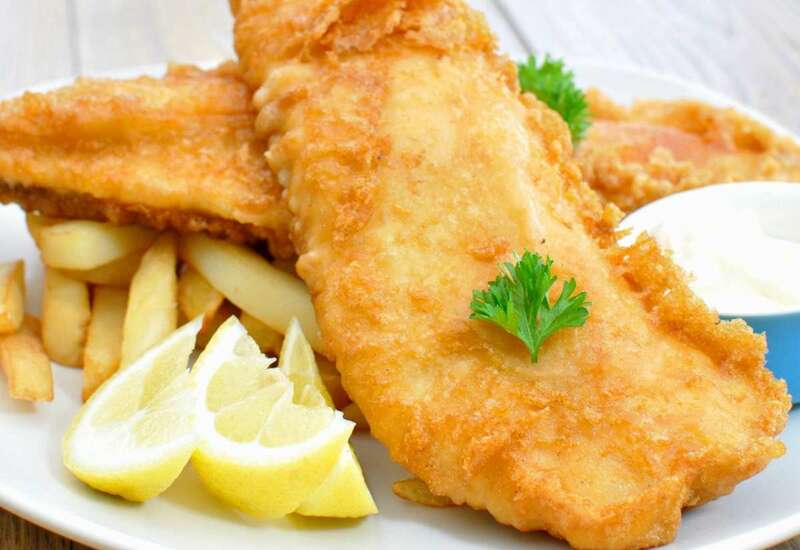 Fish and chips are definitely a delight for those of us who enjoy fried food. 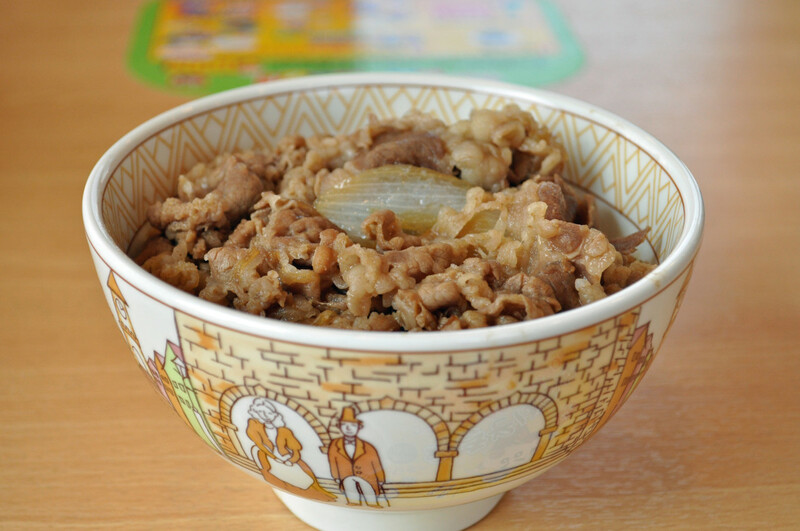 It is an English staple, it is a dish that is enjoyed by many around the world. Although each region has local restaurants that specialize in fish and chips, many fast food places serve it, too. 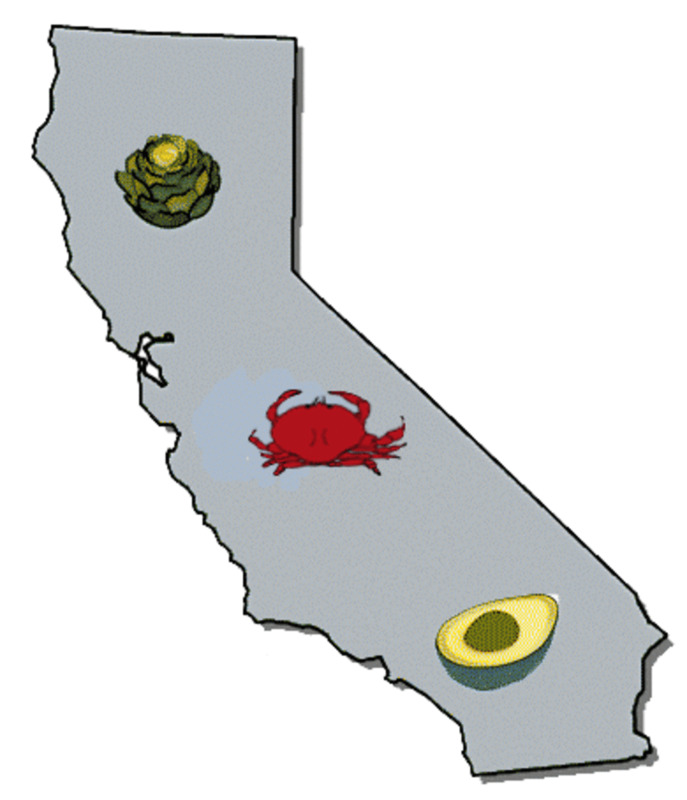 California cuisine is a rapidly evolving food trend with a wide range of meaning and many different approaches. Let's find out how it came to exist and what makes it so unique. Choosing a restaurant can sometimes be daunting especially when you are celebrating a special occasion for someone else. Major considerations often pale when your guest has special requirements but in today's foodie world, this is no longer a problem. Antipolo isn't just the Philippines' city for pilgrimage. 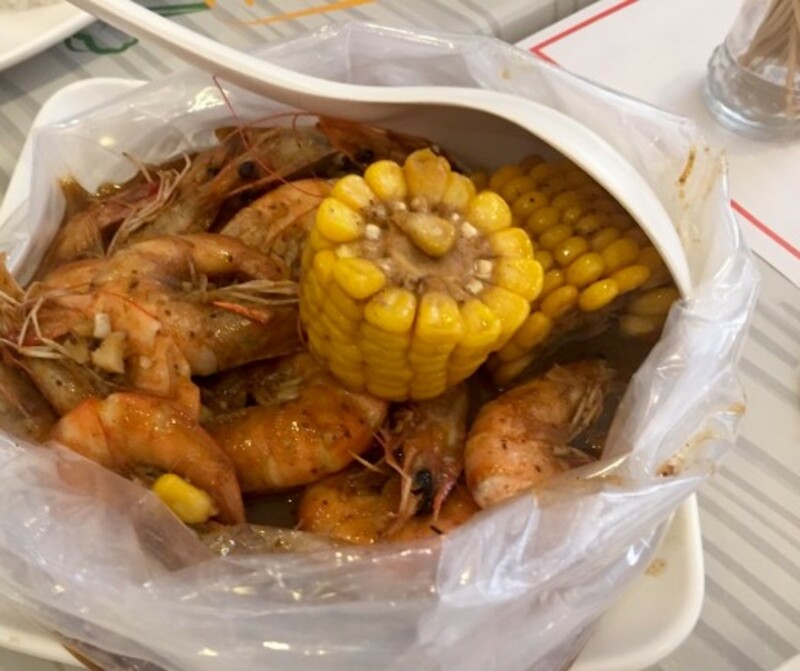 But, it's also home to quaint little restaurants and cafes that will surely keep your palates craving and salivating for more. Fast food in Japan can be a good way to experience "daily life" culture. But for folks who need to eat gluten free, it can be a scary experience. Here's a quick guide to a few major chains/types of restaurants to help you get through your gluten free day abroad. Looking for good eats on the Big Island of Hawaii? 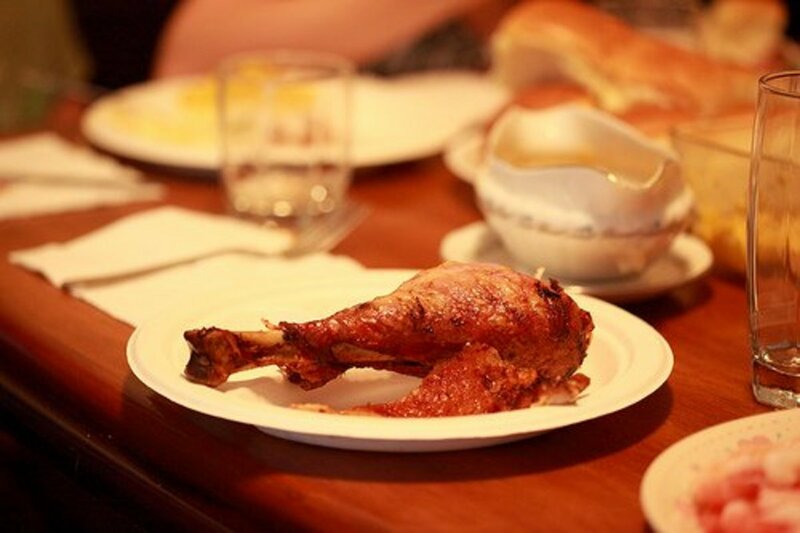 Here's a list of the best local restaurants! 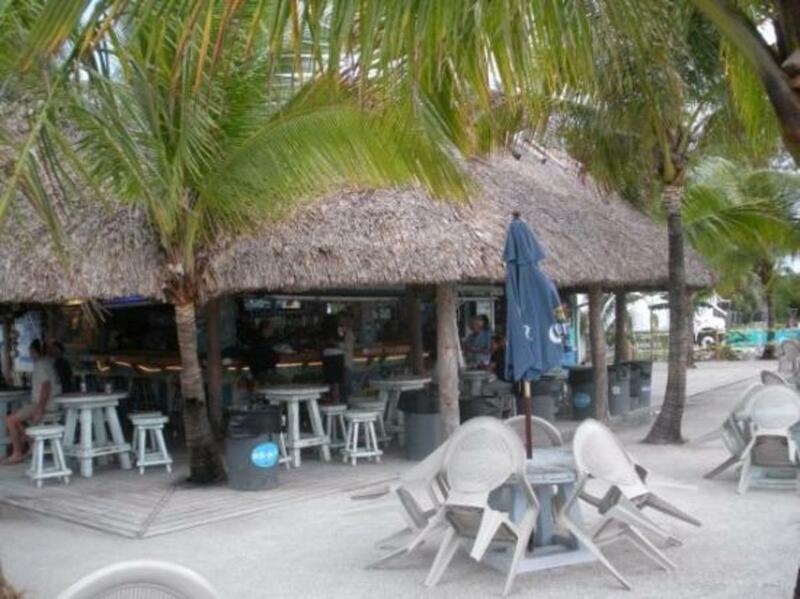 From pancakes to loco mocos, you will find this list of restaurants helpful when planning your trip. The author is a barista who shares answers to questions she hears all day at Starbucks. 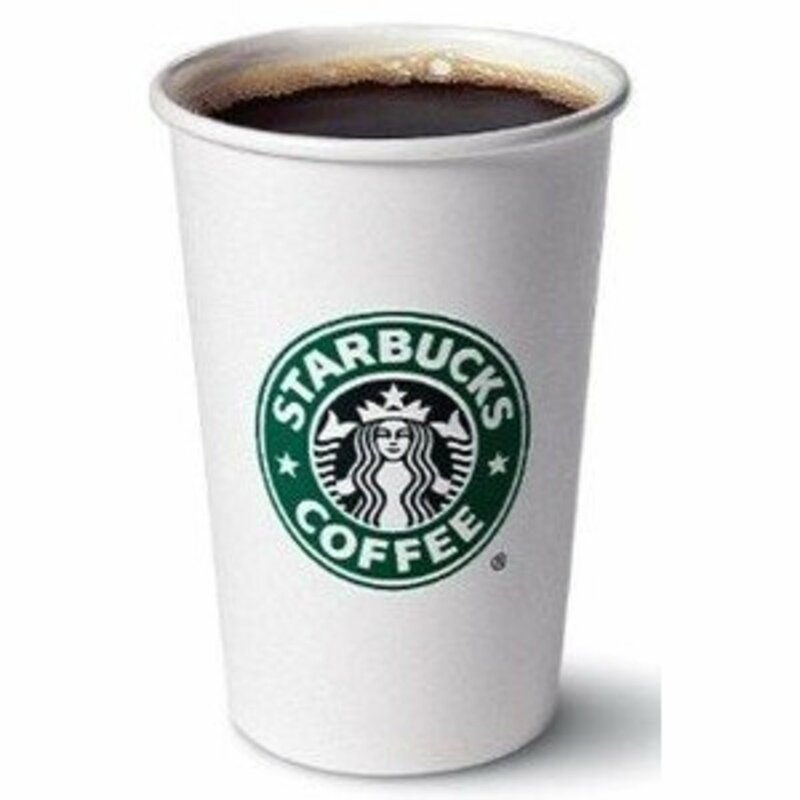 How does Starbucks make a latte? And how can customers customize the drink for themselves? Read on to find out. Go green when eating at restaurants with these simple tips and ideas. Tips for restaurant owners and managers who want to go green included also. 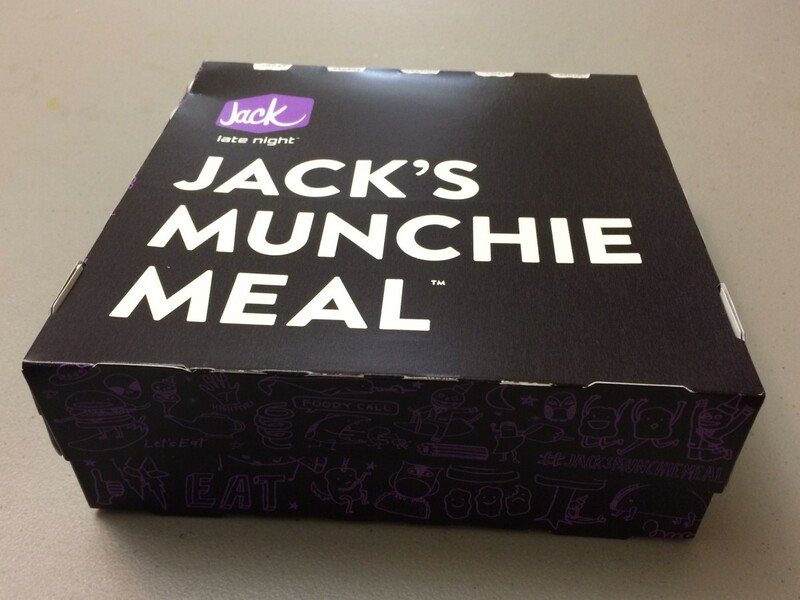 I tried all the different Jack In The Box Munchie Meals and here's what I think of them. 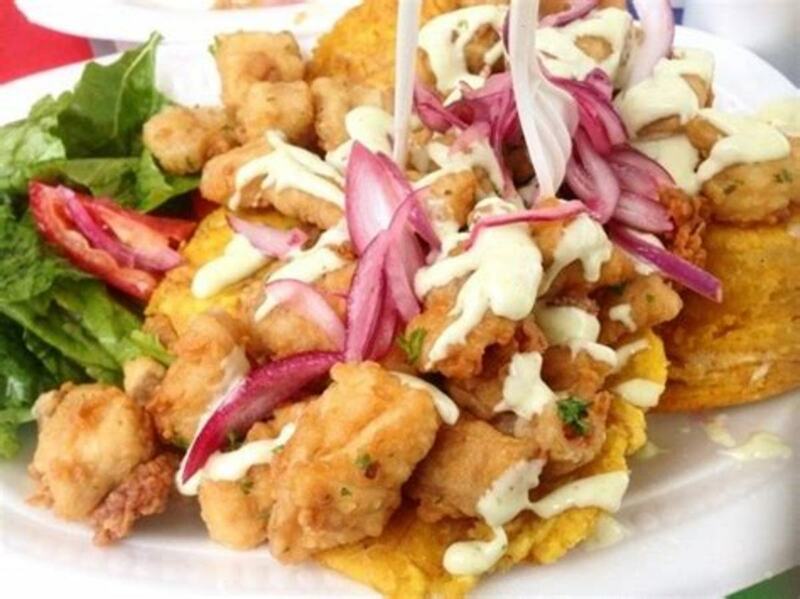 If you crave amazing seafood at affordable prices with gorgeous nautical views, Ñato Fish is the perfect place to eat in El Chorrillo, Panama. 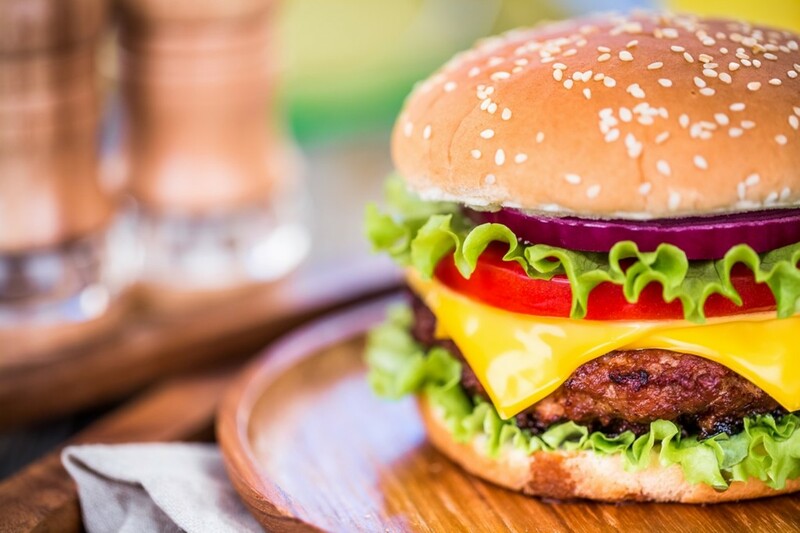 If you have a deep love for burgers and the money to start a business, then a burger restaurant is just what’s in store for you! Here are 50 tasty burger restaurant name ideas. 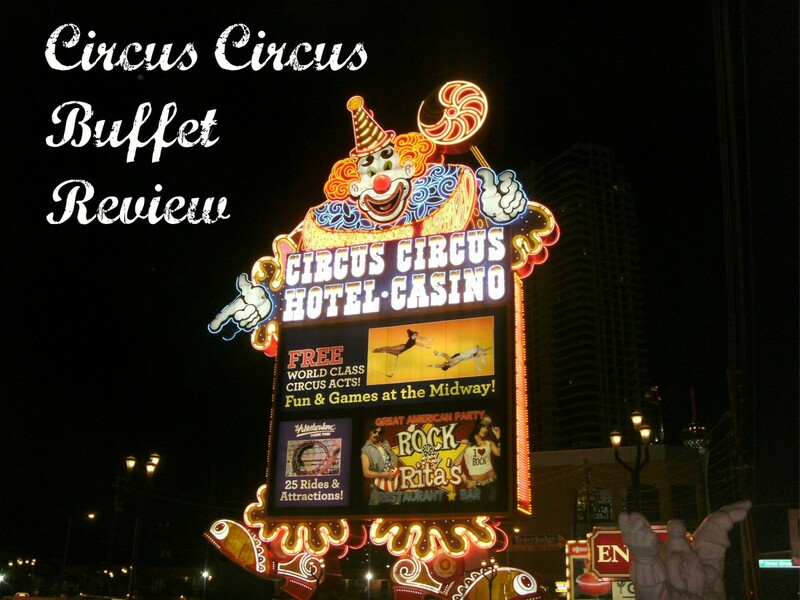 A review of the Circus Circus buffet in Las Vegas. Not an entirely pleasant experience, in our opinion. 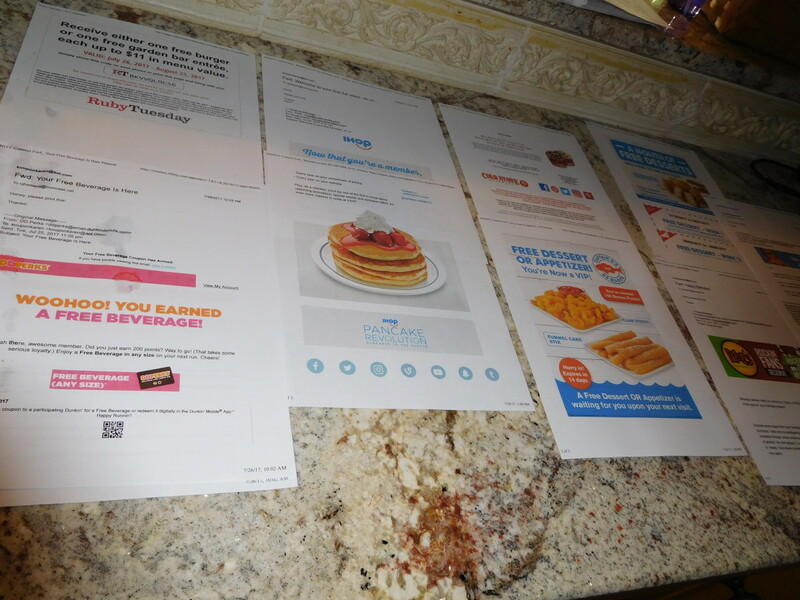 I was able to get enough freebies from restaurants that I got free meals all day long on my birthday. Read on to see how you can do the same! The calories in Indian food items with charts. Includes biryani, buffet, butter chicken, chapati, chicken curry, chicken tikka masala, dal, dishes, dosa, idli, grains, naan, pakora, and paratha. Here's an in-depth review of my experience with the Starbucks gold reward card. 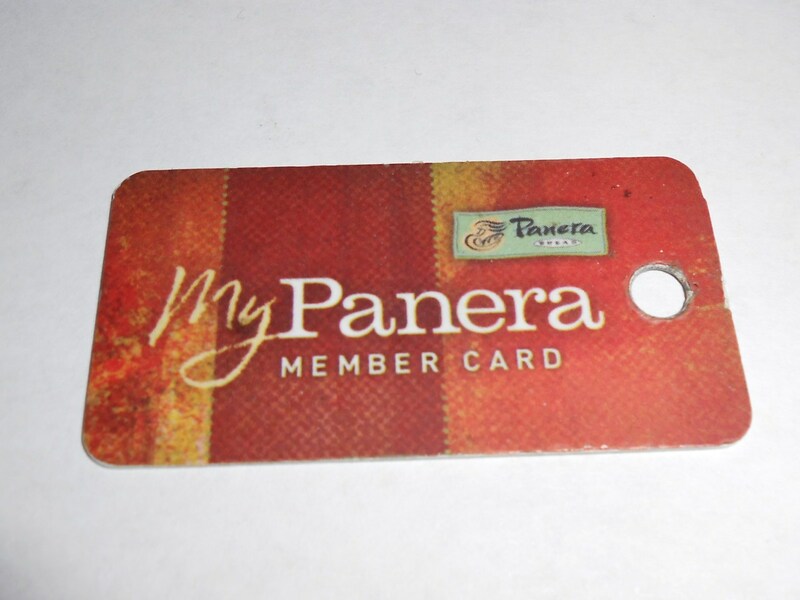 If you like plain coffee and tea, the rewards card is a great fit. But it isn't great if you like blended drinks! 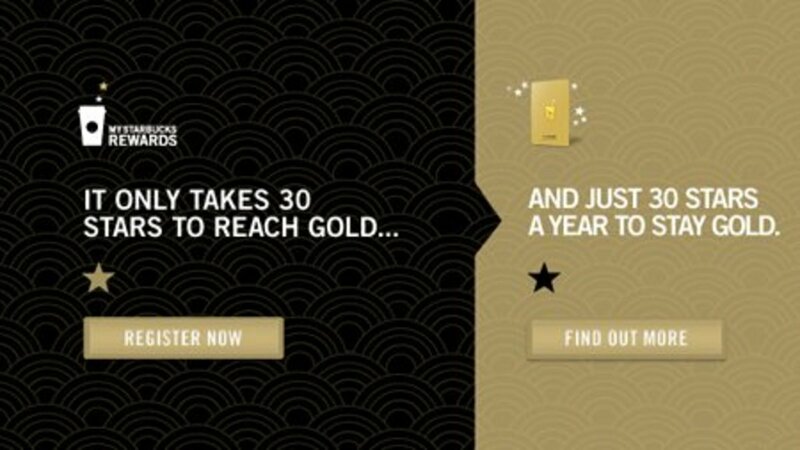 Is the Starbucks Gold Reward Card Worth It? 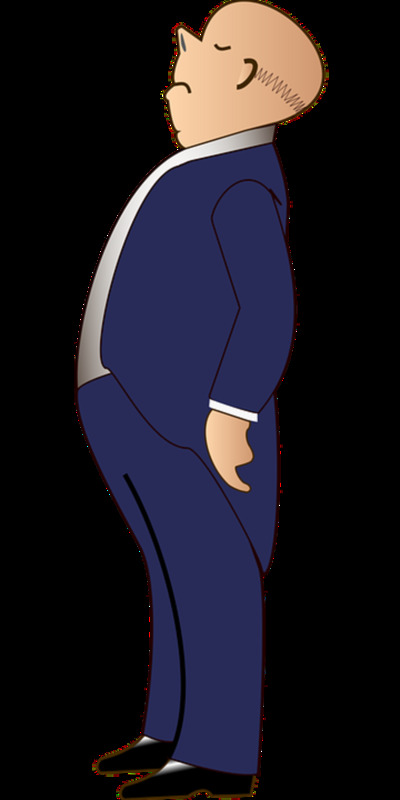 So, like most of us, you’re trying to take off a few pounds. 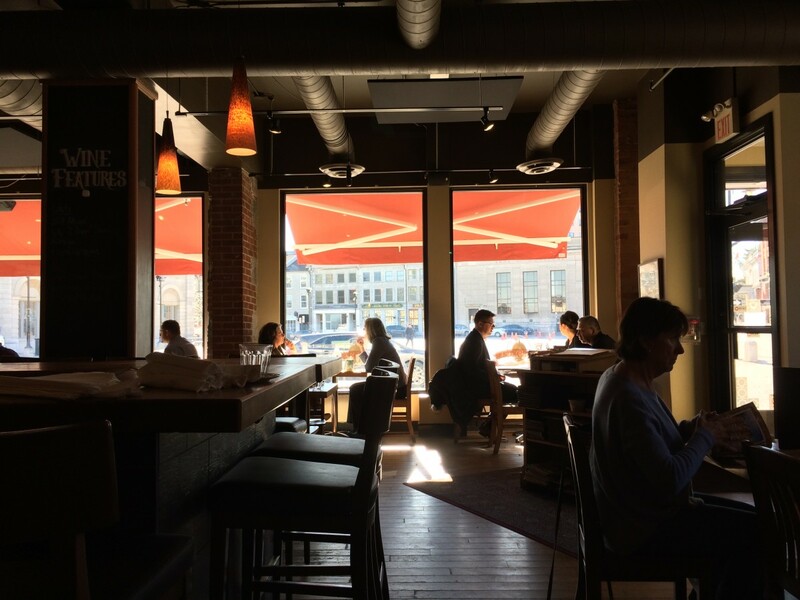 You probably think that means eating in restaurants is off limits, but you’d be wrong. 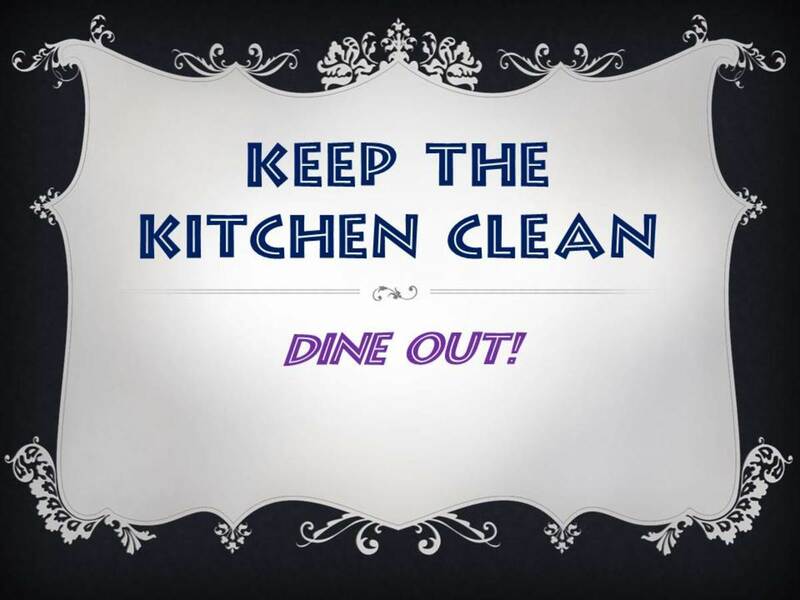 Here are some tips to help you enjoy dining out, even if you're on a diet! 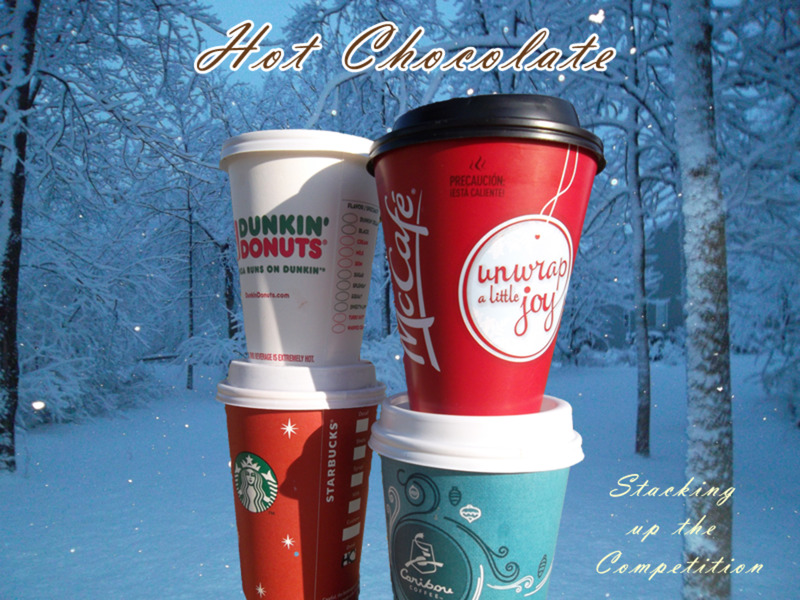 Trying to find the best hot chocolate from a fast food restaurant or coffee house? Check out these reviews. Cupcakes are a delicious treat and they are sold in many cupcake shops in Melbourne. This article tells you where to get those cupcakes in Melbourne for your birthday party, wedding or business event. 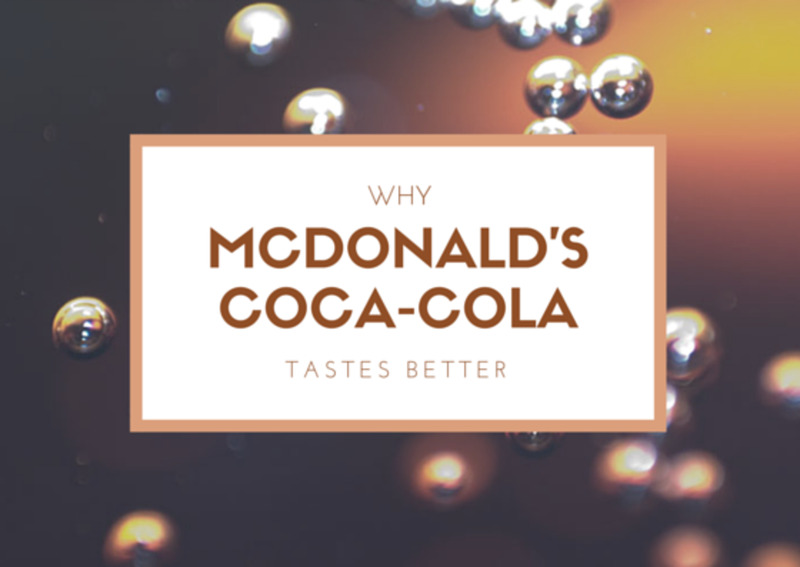 Why does Diet Coke taste better at McDonald's? There are many speculations, but in this article, I get to the bottom line. Do you love pizza? I sure do! 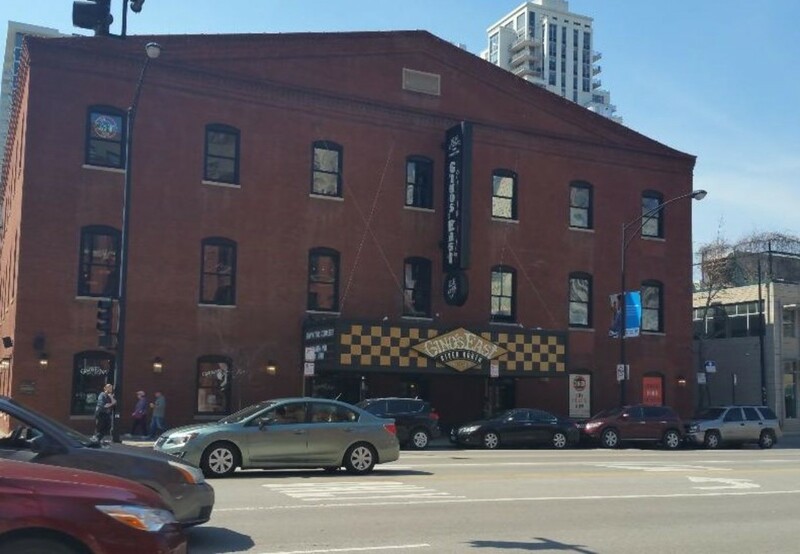 In this article, I will compare two favorite Chicago hot spots for some of the most amazing deep-dish pizza in Chi-town! Summer in Maine and there seems to be more lobster pounds than Dunkin' Donut Shops. Some have been around for what seems like forever and some are new this year. They all look different. Some look like a shack. Some look like a restaurant. So, what is a lobster pound? 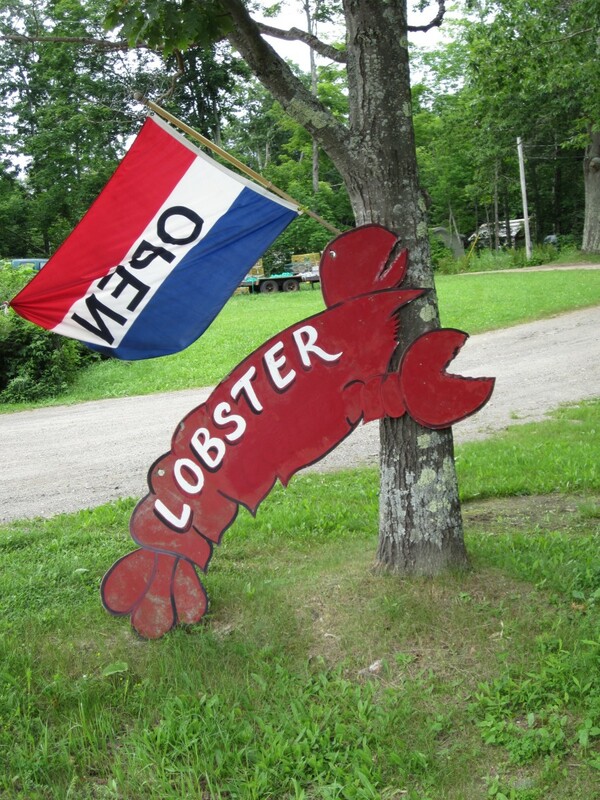 What Is a Maine Lobster Pound? Windmills is a popular restaurant offering a diverse menu from around the world in an atmosphere that delights all the senses. The best places to eat in Flagstaff ... according to me. 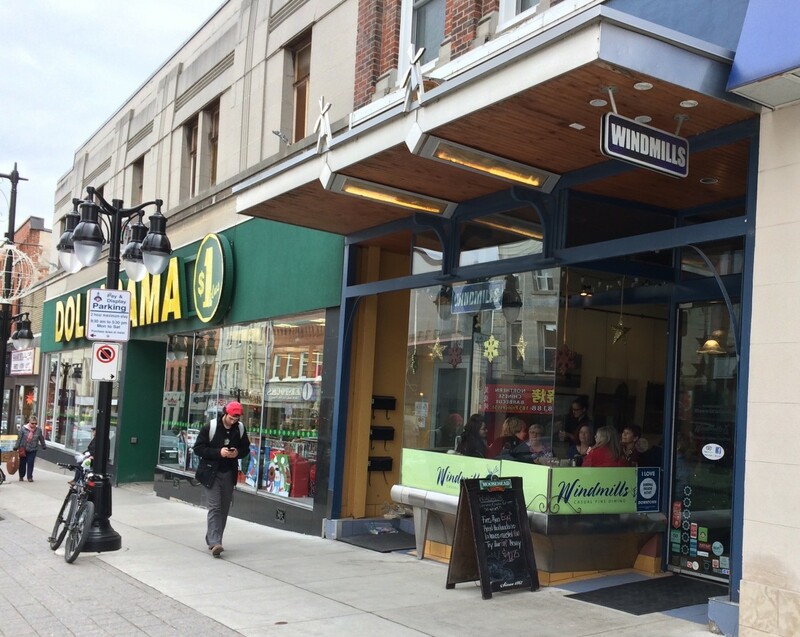 But there's a poll for each restaurant for others to weigh in on these local eateries. 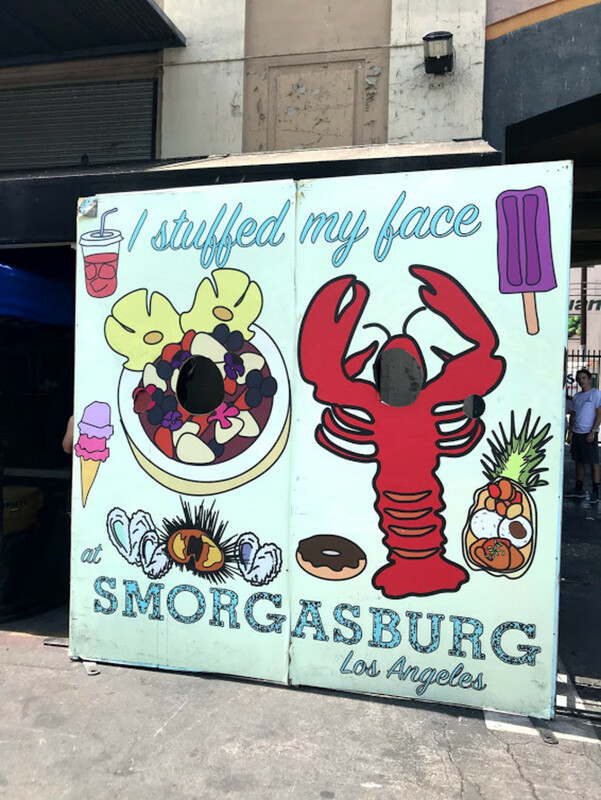 Every Sunday, from 10am to 4pm, Smorgasburg Los Angeles pops up at the Row DTLA for a unique food truck and shopping experience that locals and tourists enjoy equally. Here's a peek into this fun adventure. You can order healthy fast food, but they don't make it easy, and you may be eating more calories than you think. 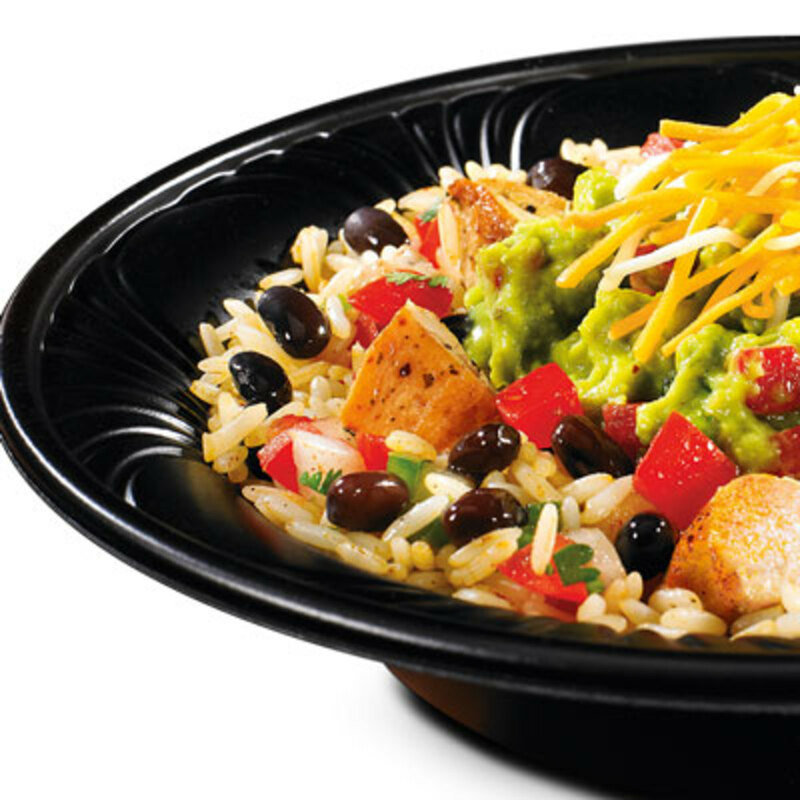 Learn how to order fast food that doesn't go straight to your waistline. 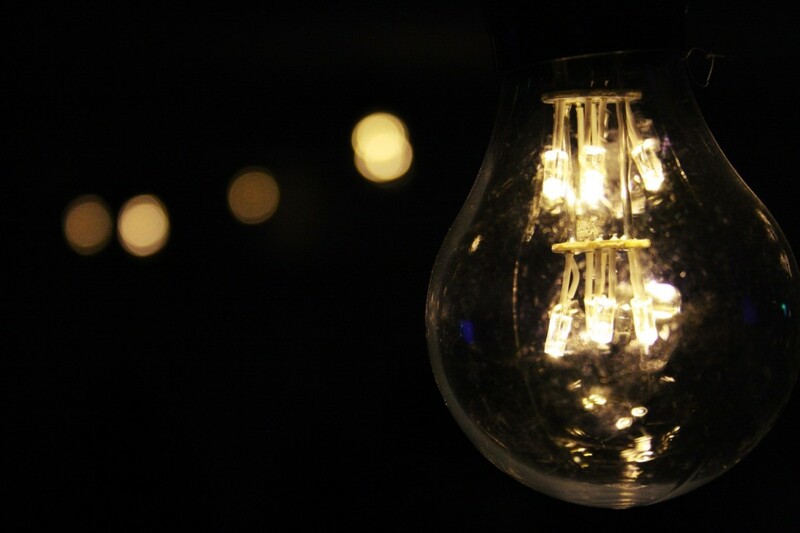 Dining in the dark is a unique concept aimed at giving us an unforgettable gastronomic experience. But is it as amazing and intriguing as is sounds? Read my dinner in the dark experience to find out. Eating in Paris doesn't have to be difficult or outragously expensive. 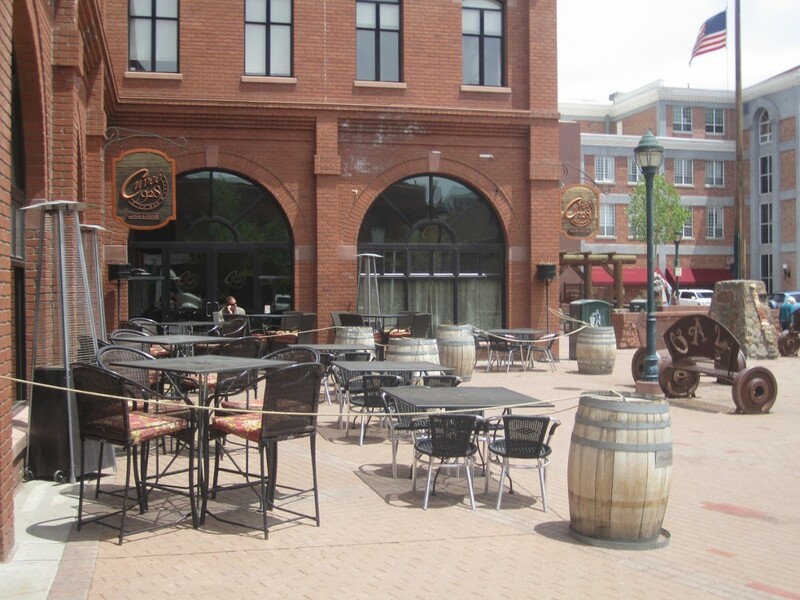 Just locate Bistro Le Coin and keep going back. 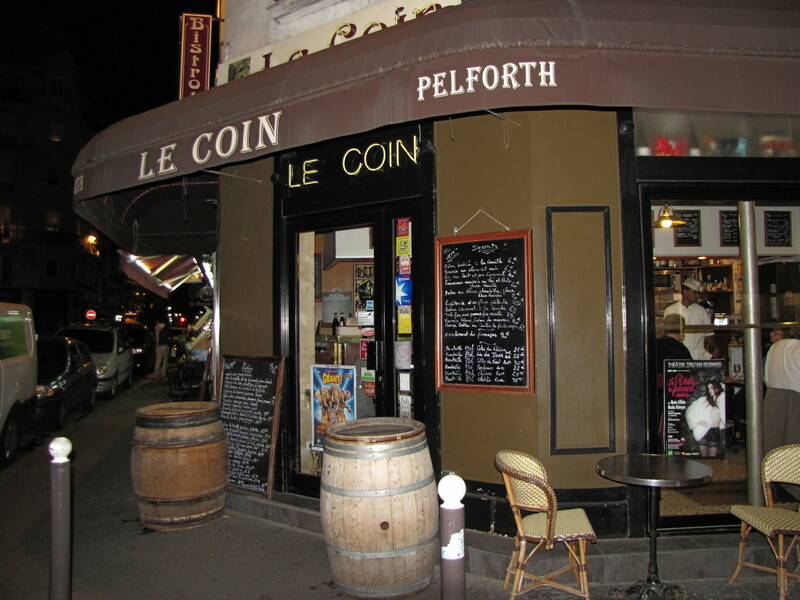 This small bistro was the gastronomic highlight of our Paris culinary odyssey. I noticed that McDonald's seems to have surprisingly good coffee and was surprised to learn that many agree. But is it really better than other coffee chains? If so, what makes it taste so good? 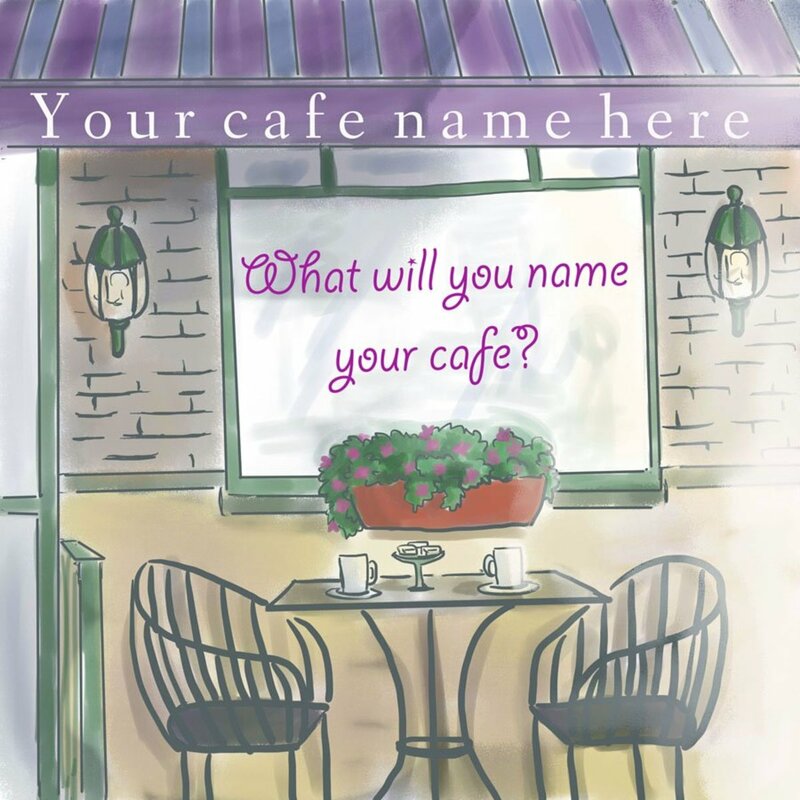 Looking for the perfect coffee shop or cafe name? Look no further! 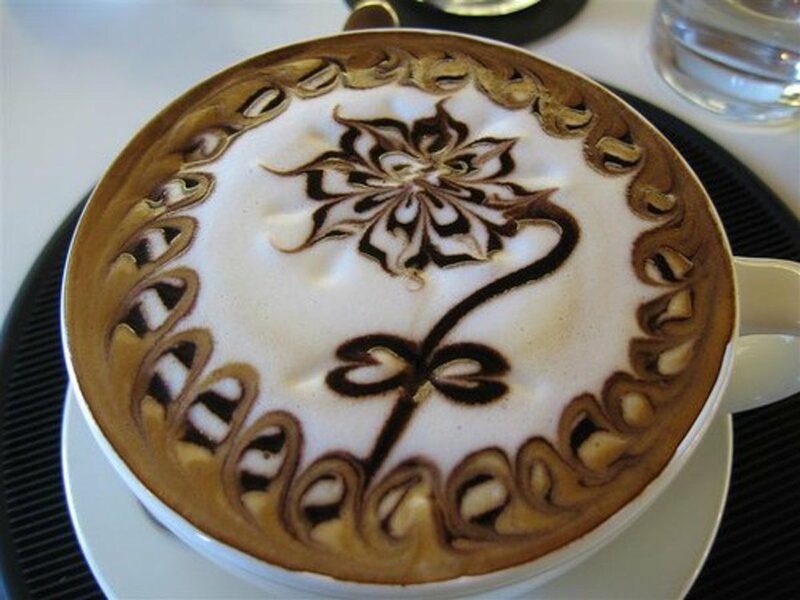 Here is a list of 45 creative coffee-inspired names for your small business! Chopsticks are the eating utensil of choice in many Asian countries including Thailand, but most especially China where the use originated. Originating in Greece, forks are used in Western countries. 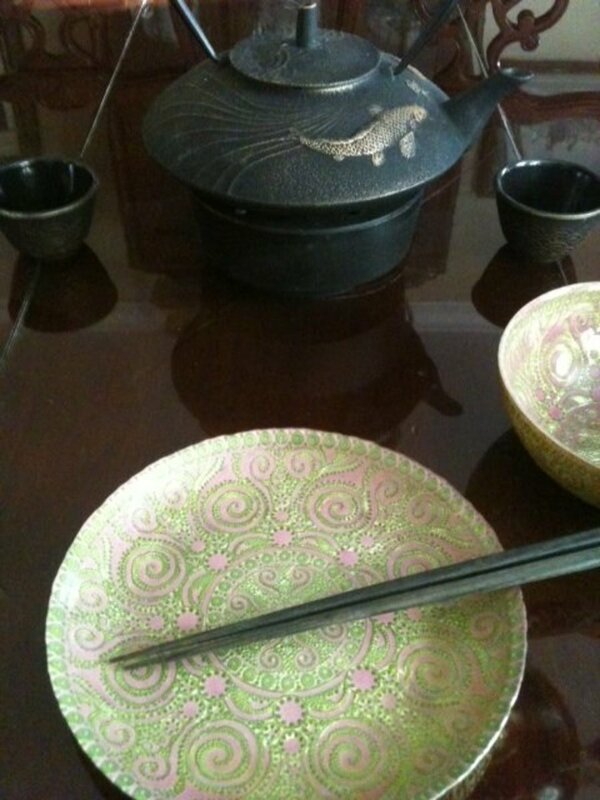 Chopsticks Vs. Forks: Which Is Correct in Thailand?